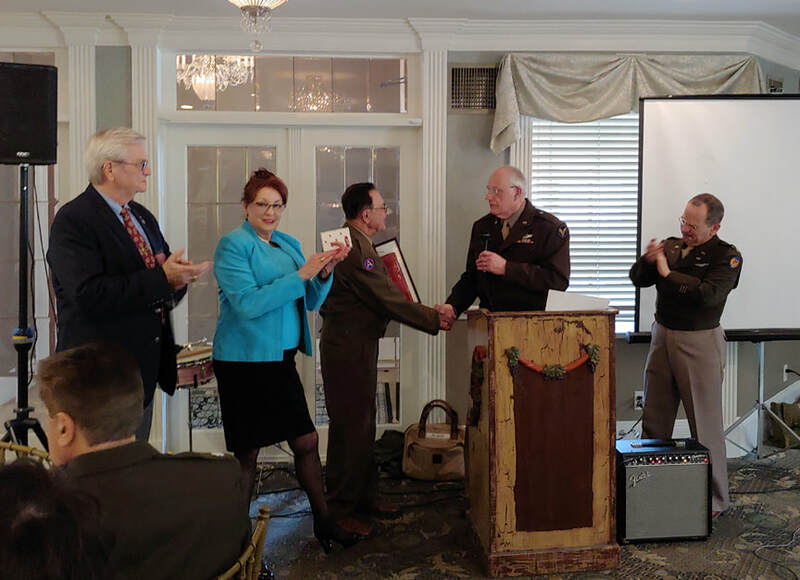 For over 20 years, AAFHA has been remembering and honoring the history of WWII aviation. 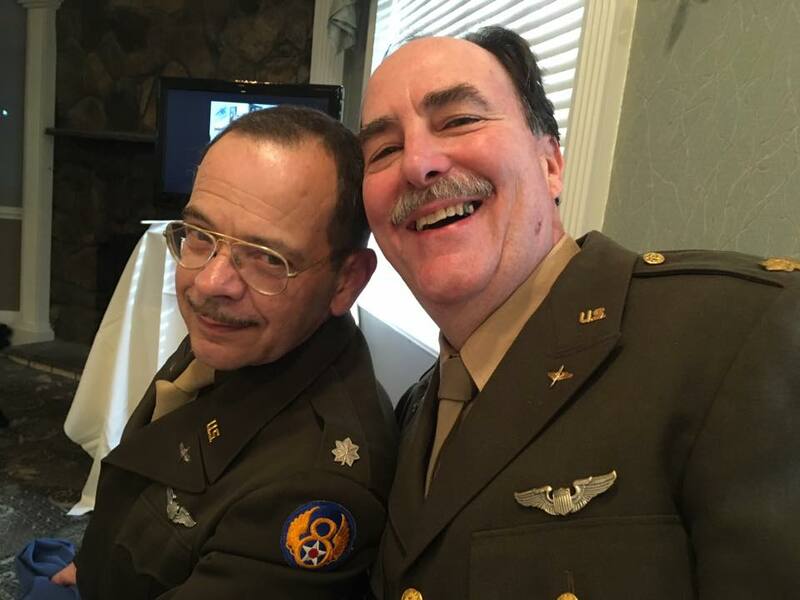 We paticipate in public forums and airshows like MAAM WWII Weekend in Reading PA, Open House Airshows at McGuire AFB, and our "Hometown" Airshow at the Greenwood Lake Airport. 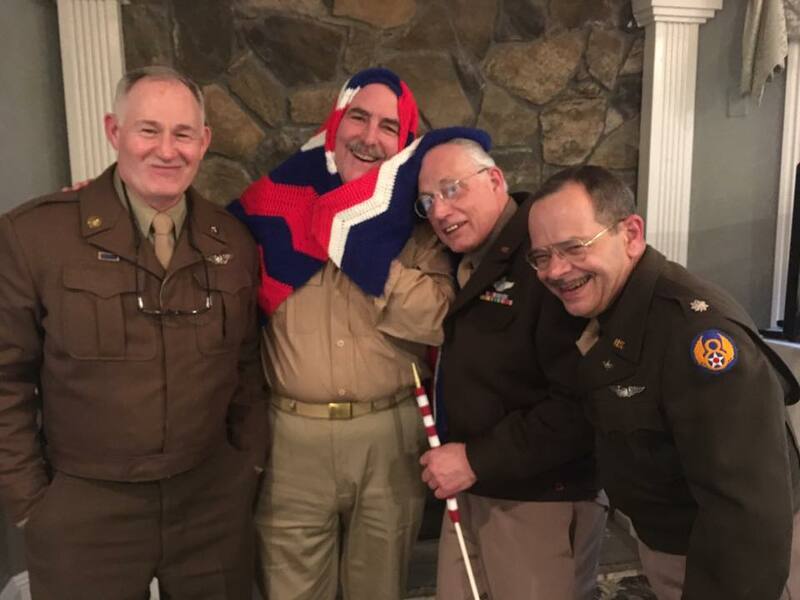 We march in the Riveredge July 4th Parade and the SGt. 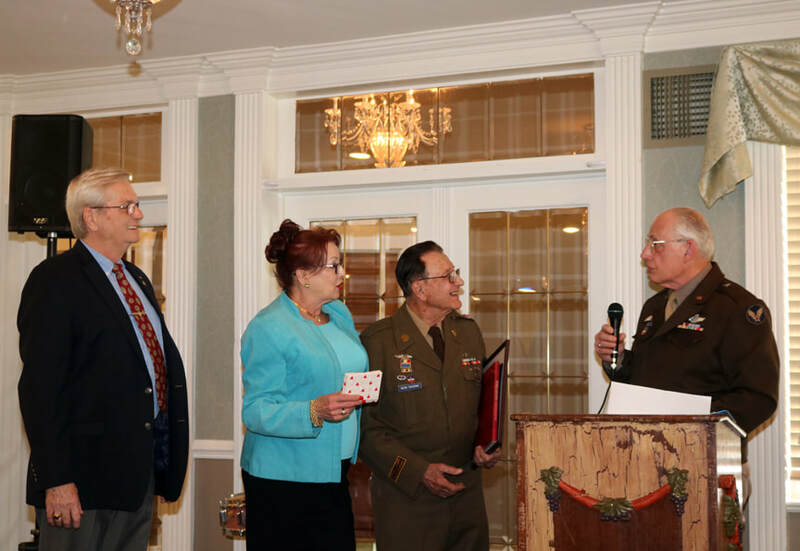 John Basilone Parade in Raritan, NJ, and participate in local Pearl Harbor Commemorations. 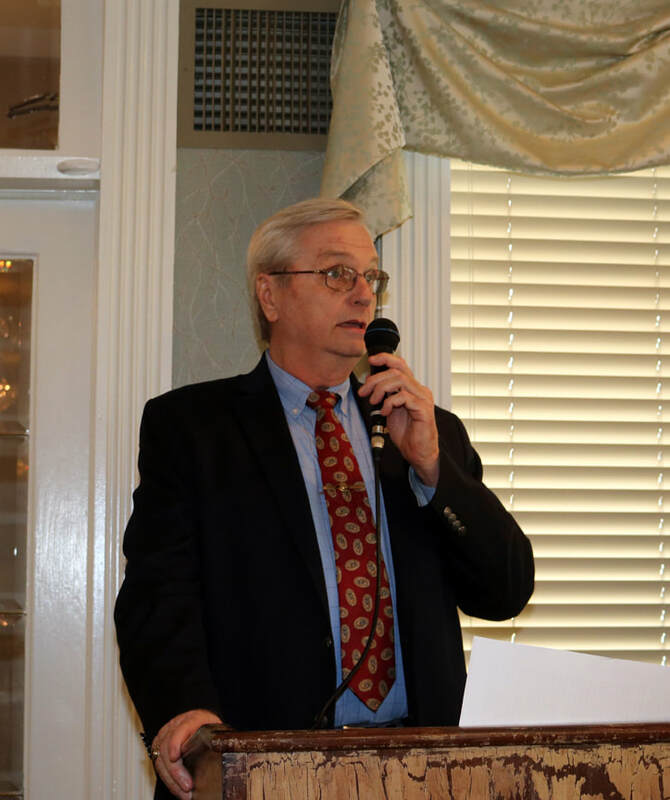 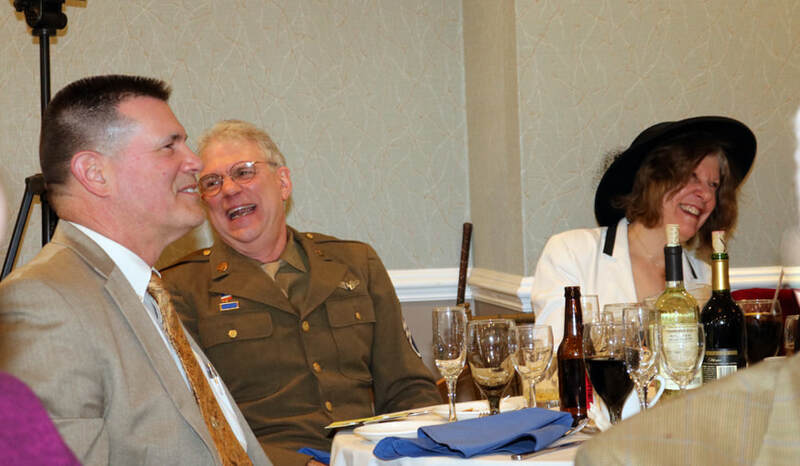 Our private member only events include our Annual Dinner Dance and Picatinny Luncheon. 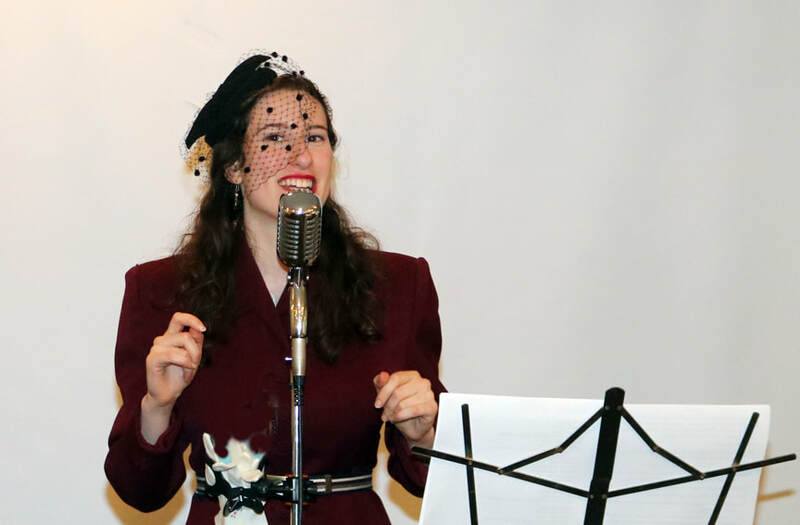 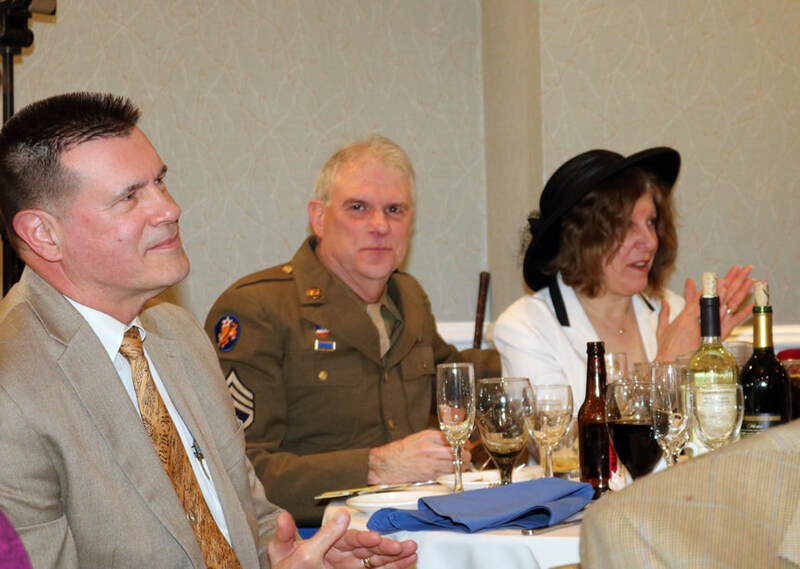 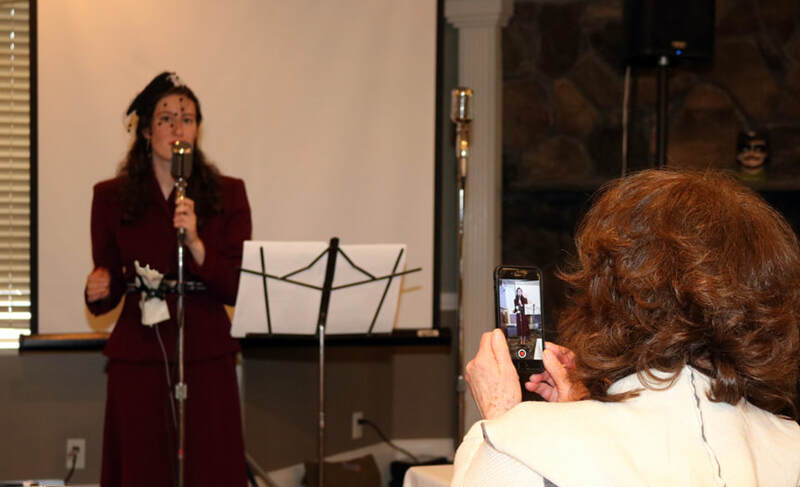 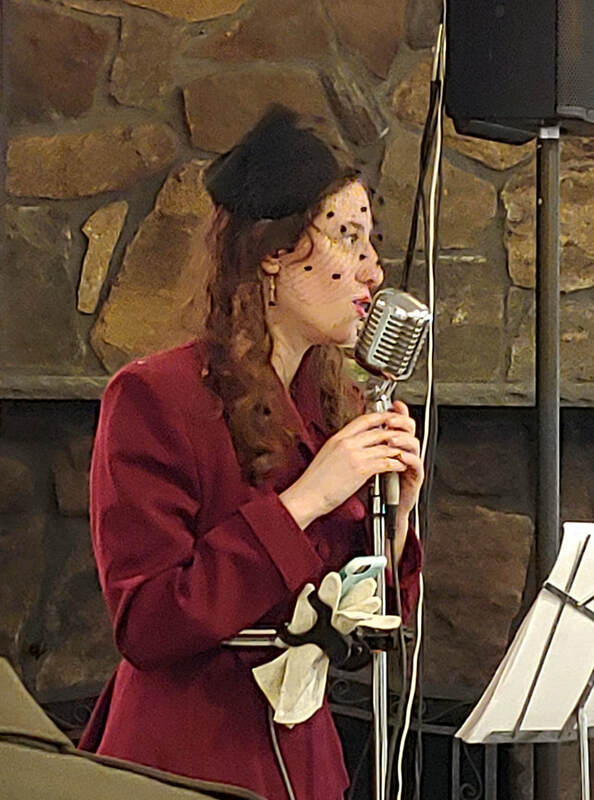 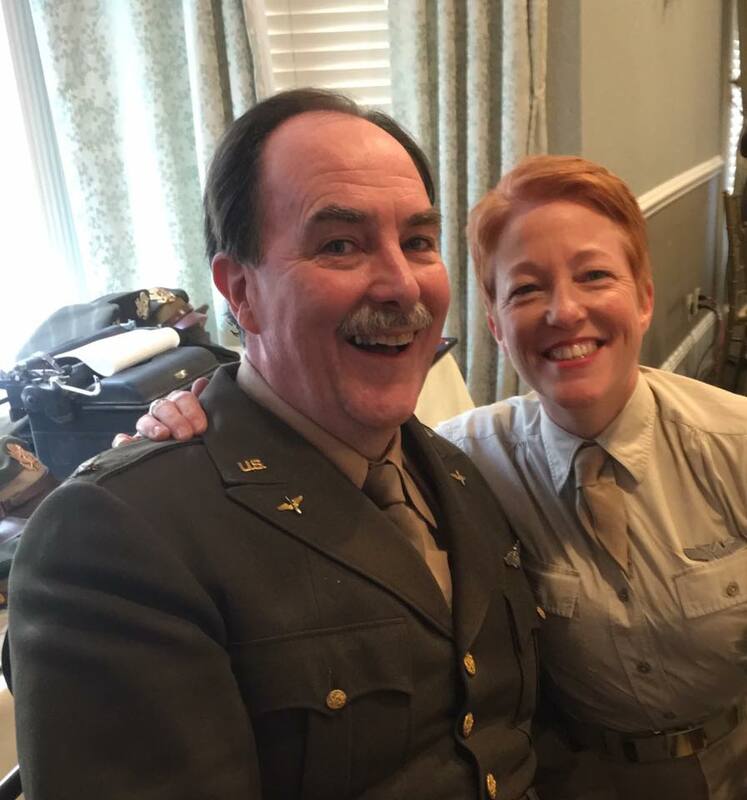 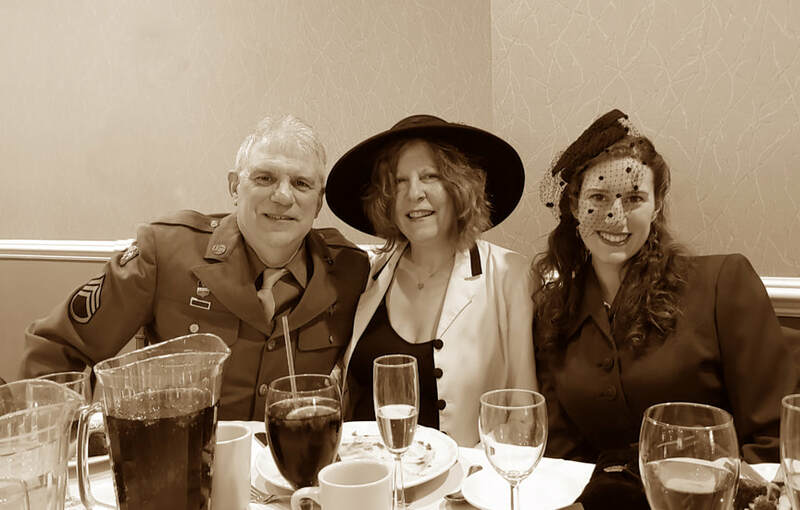 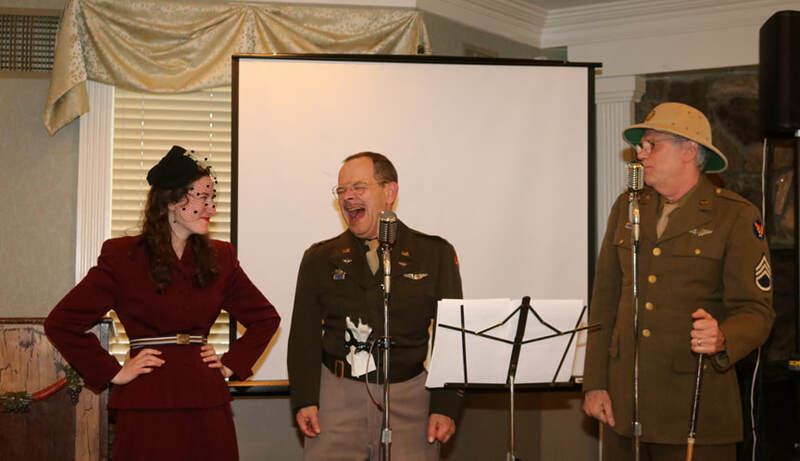 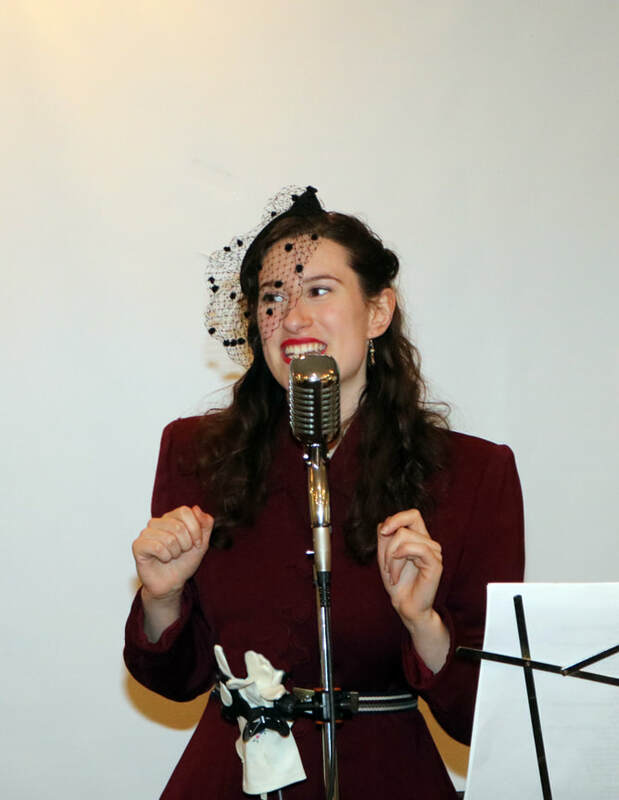 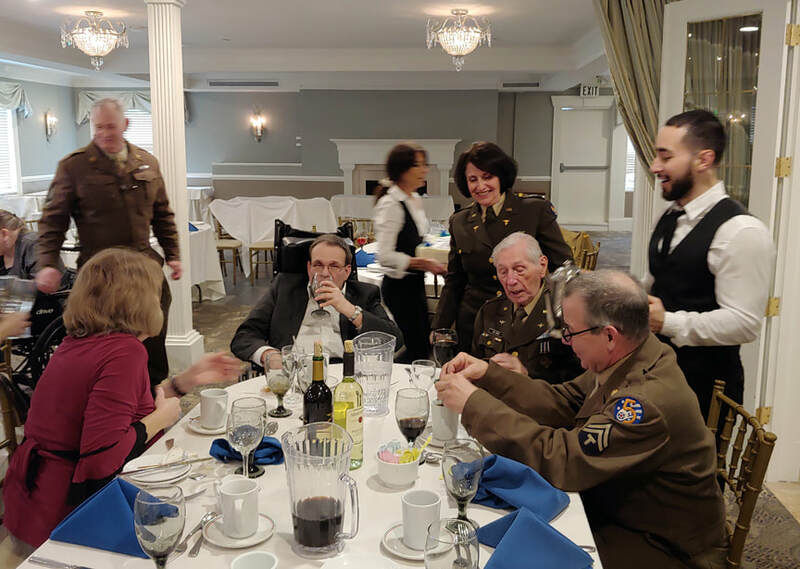 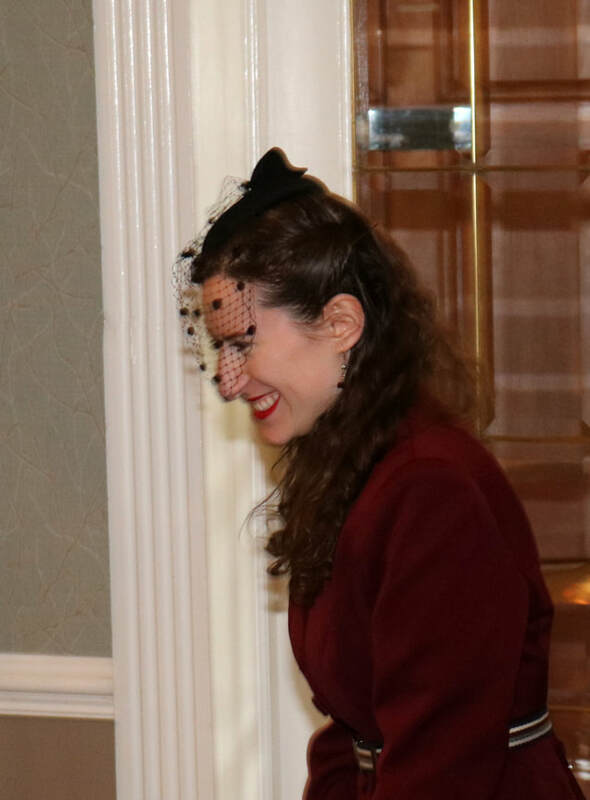 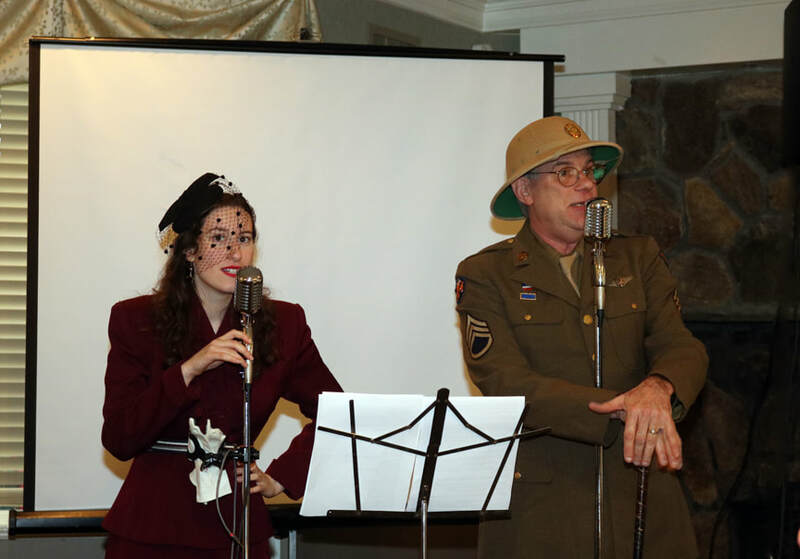 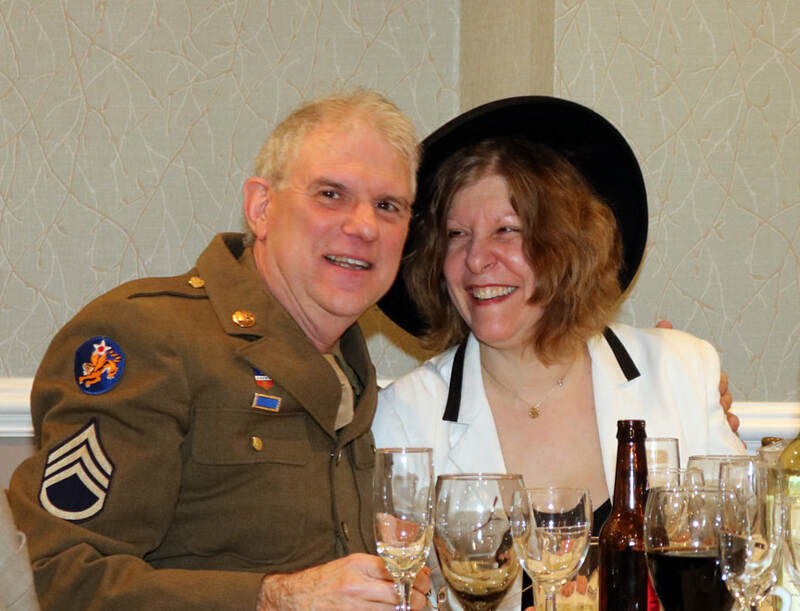 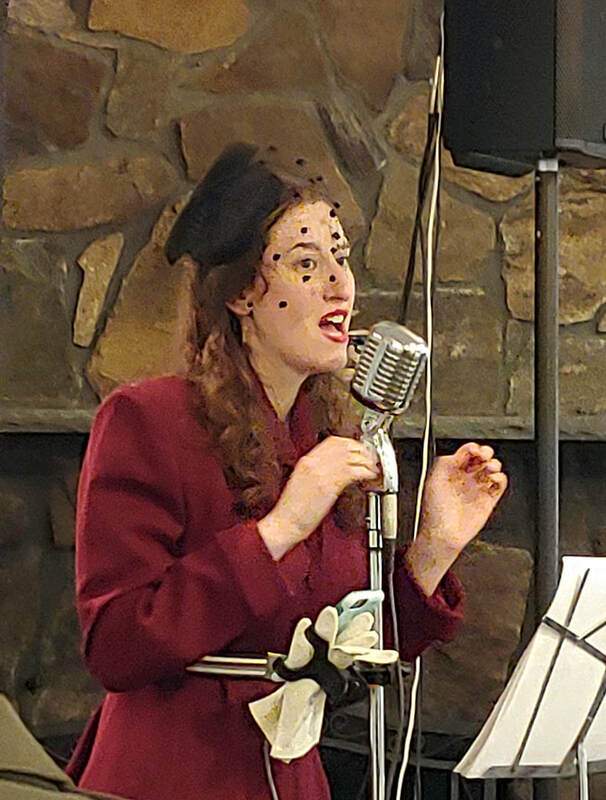 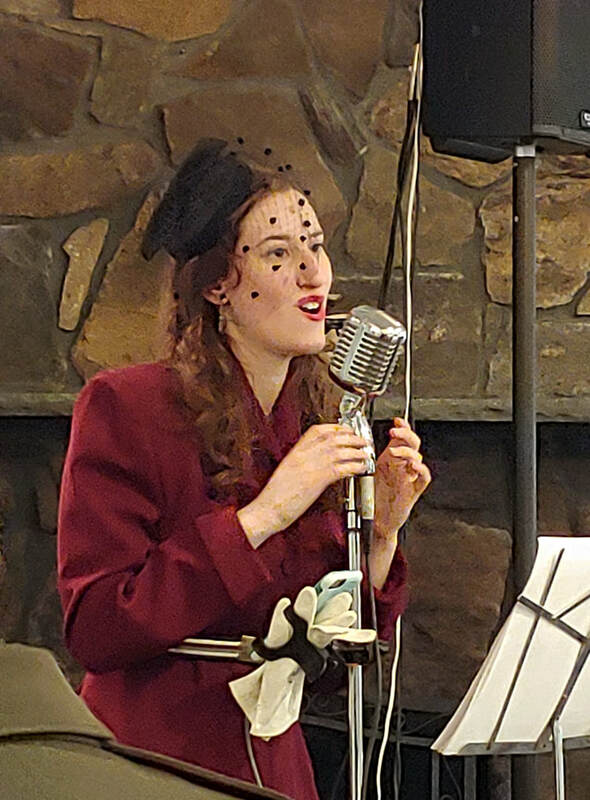 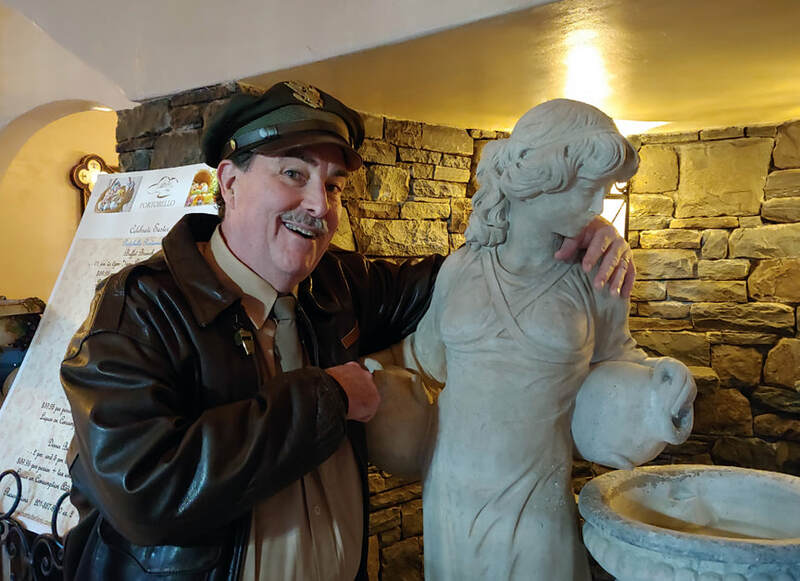 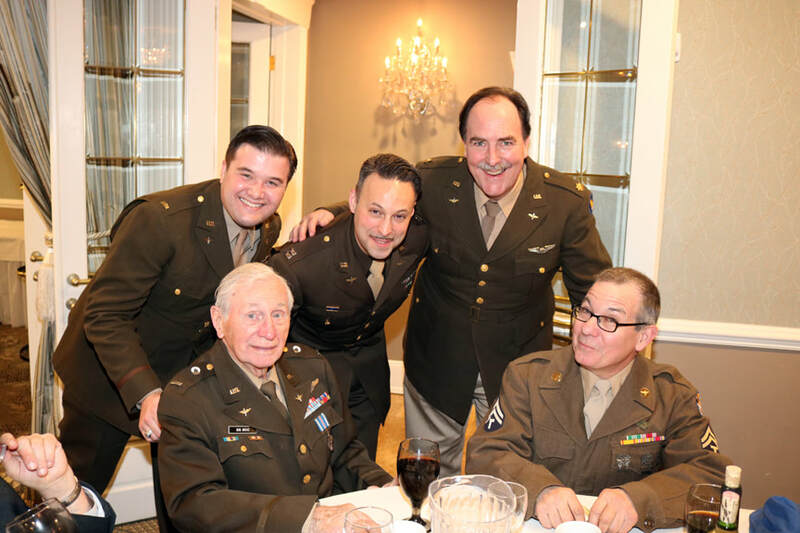 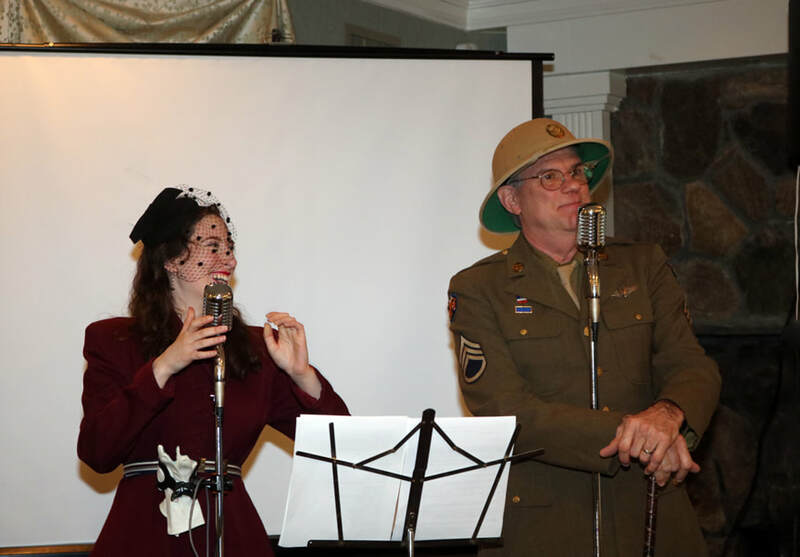 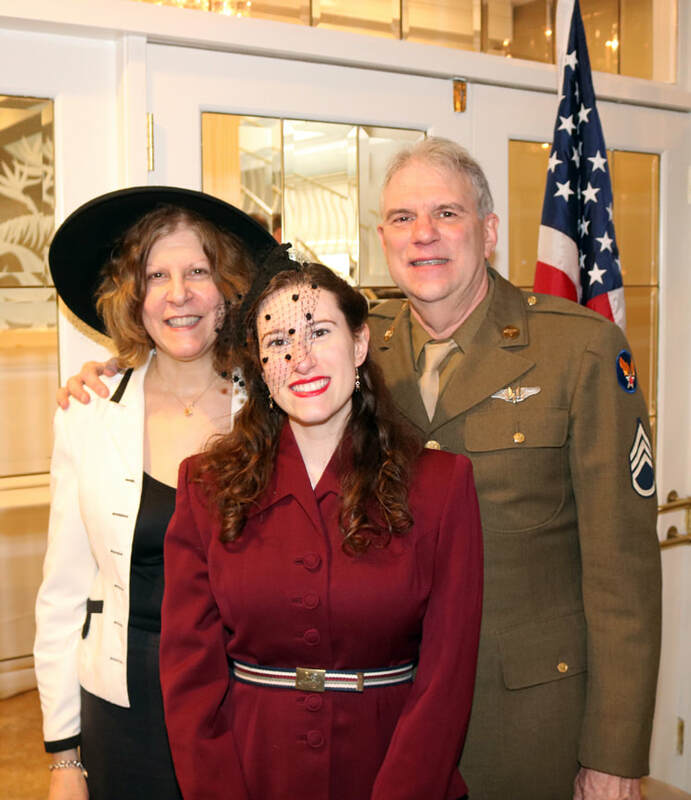 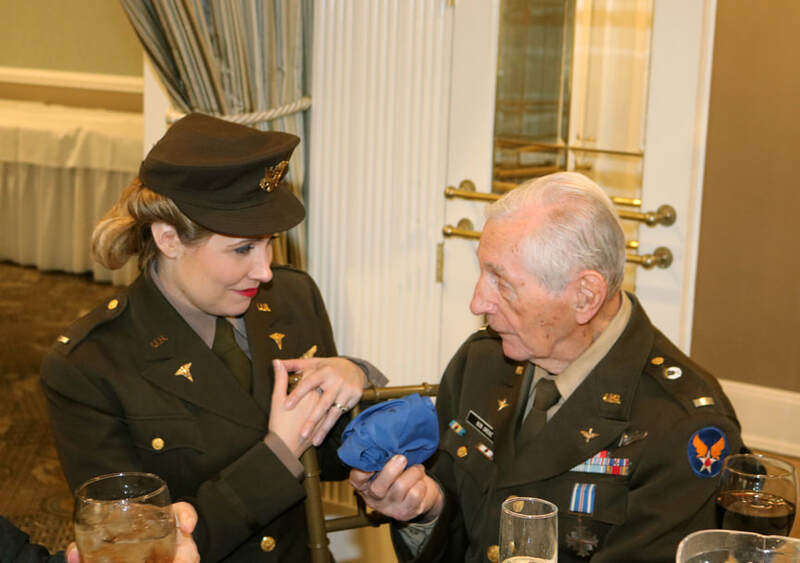 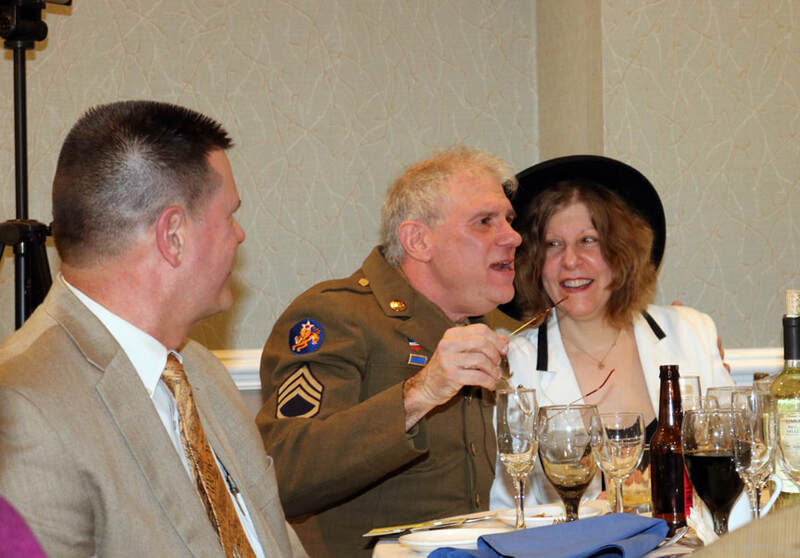 ​More recently the AAFHA Squadronaires WWII Revue have been performing for Veteran, seniors and historical societies at various venues throughout the Tri-state area. 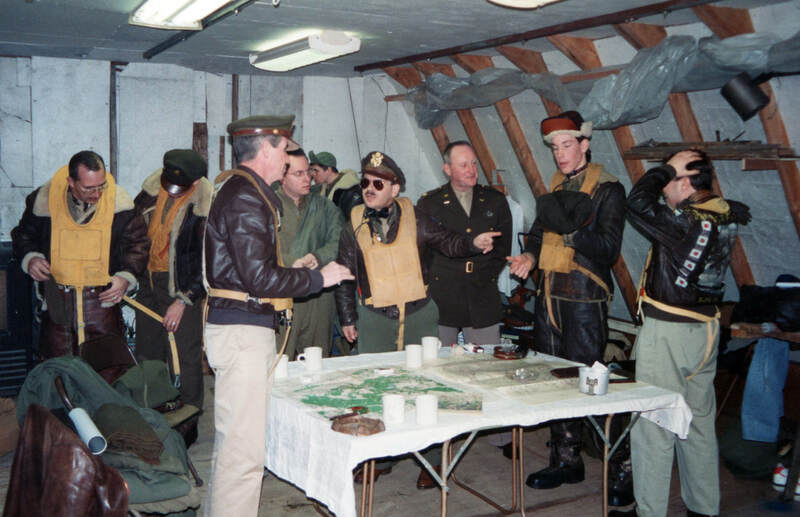 Here are some photo albums from our long and distinguished history! 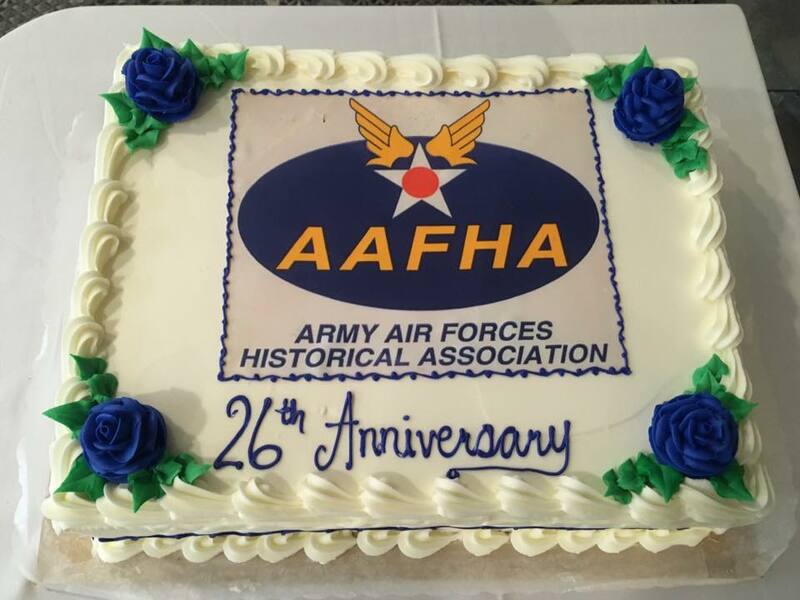 From the most recent to our ancient past, scroll down the history of the Army Air Forces Historical Society! 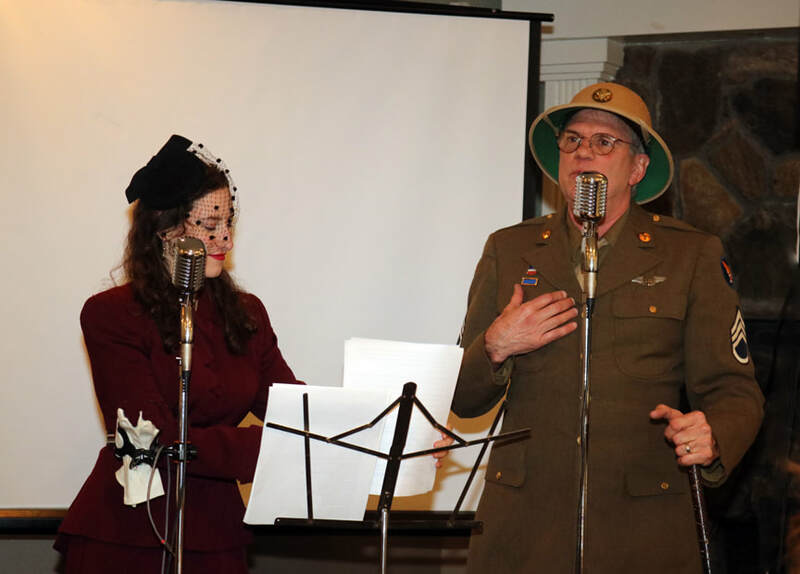 To see our upcoming show schedule, and photos from our MOST RECENT events go to our ﻿Mission Schedule ﻿page. 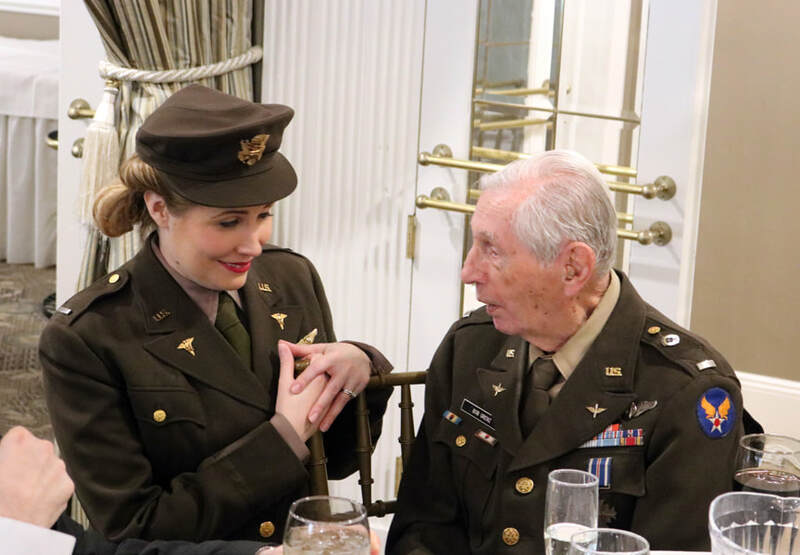 Click on the first photo from each gallery to view in full size! 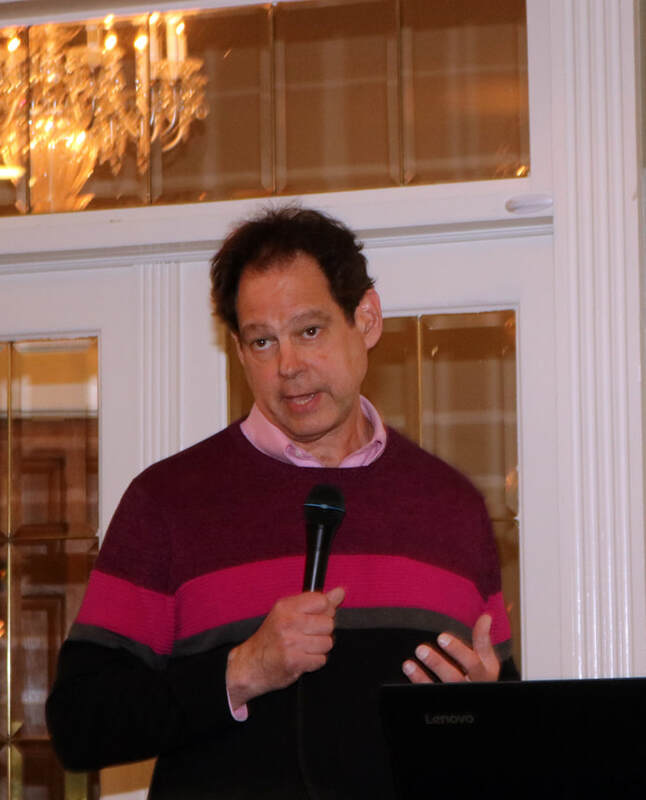 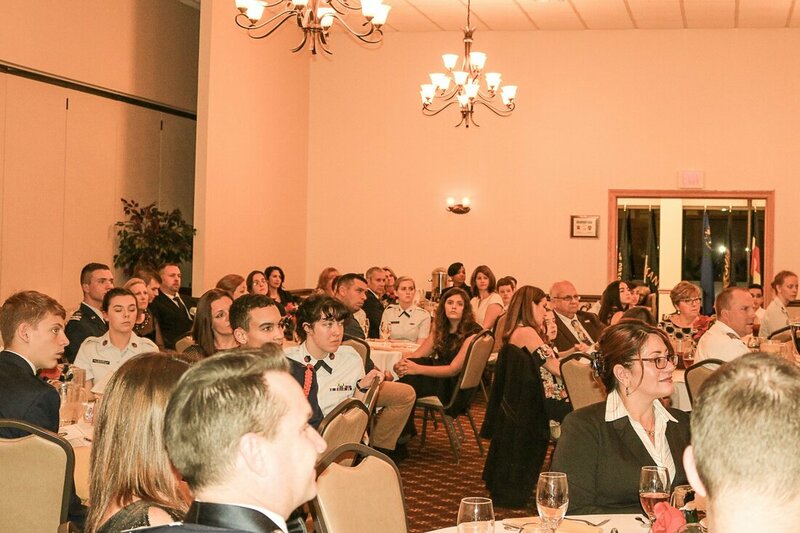 AAFHA held our annual dinner on March 24 at Portobello's Restaurant in Oakland NJ. 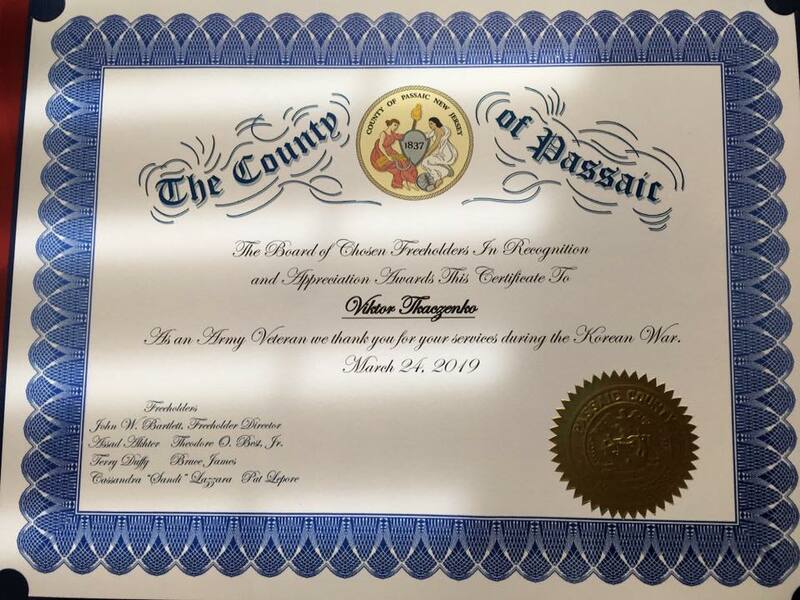 The National Anthem was sung by Alyssa Martin. 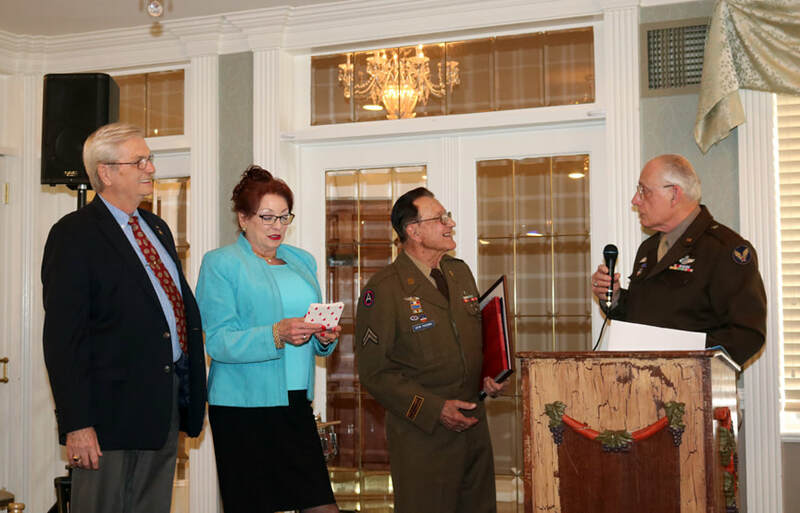 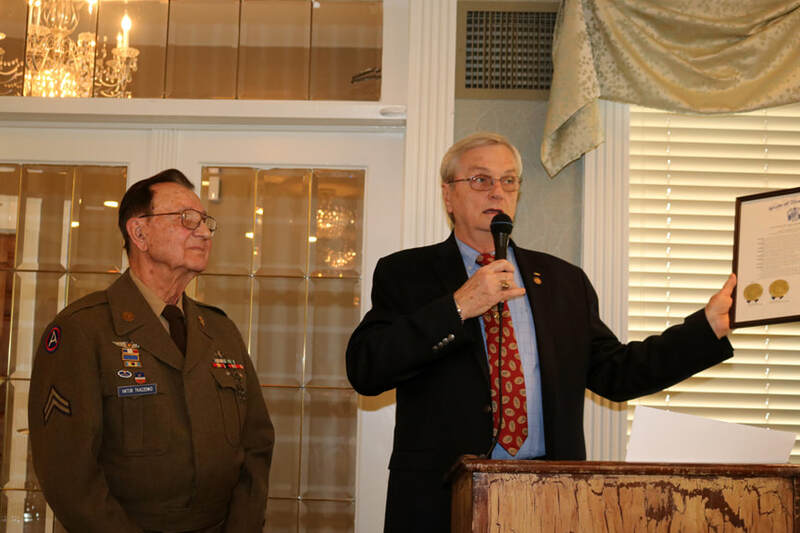 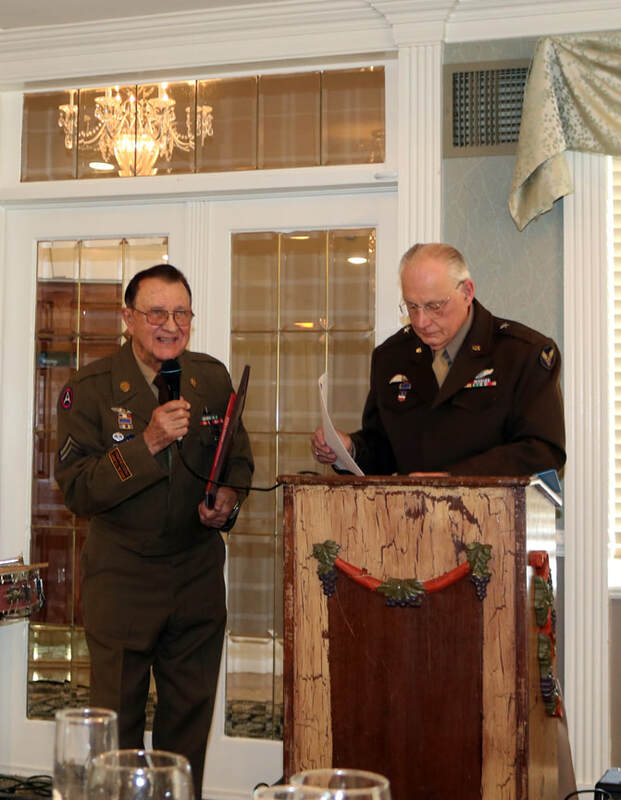 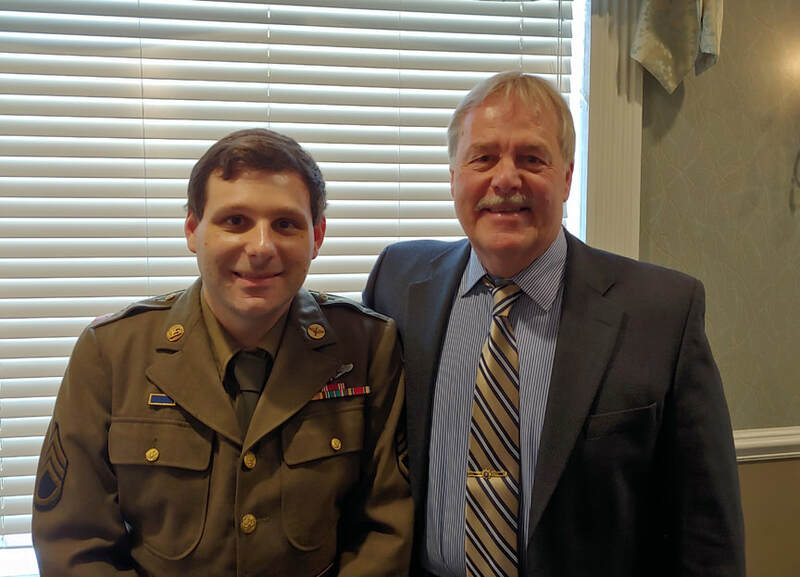 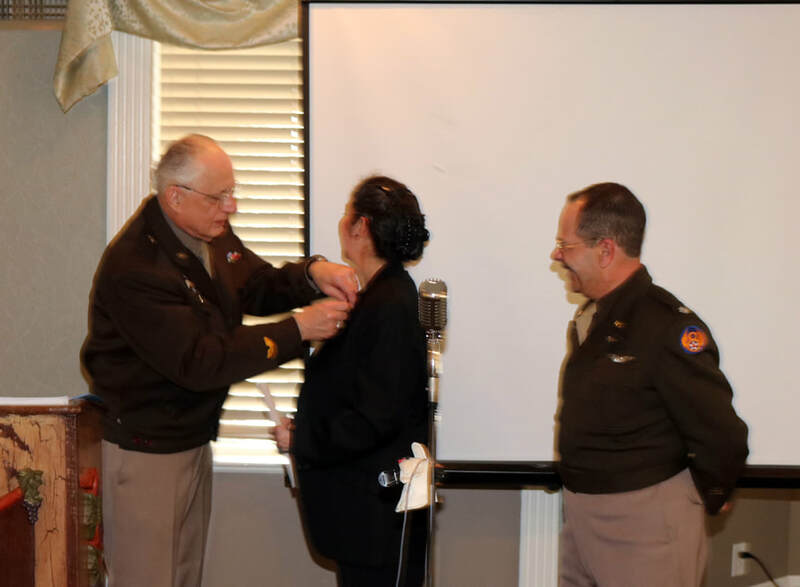 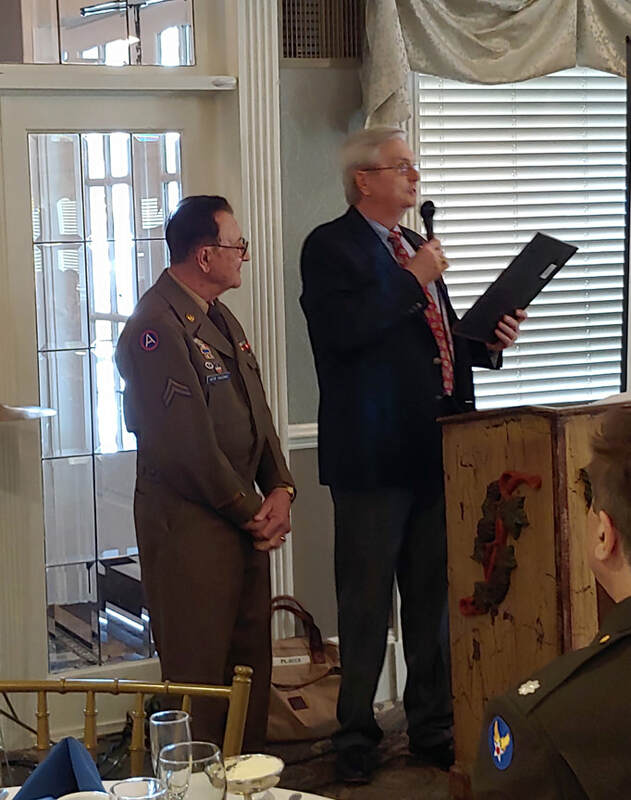 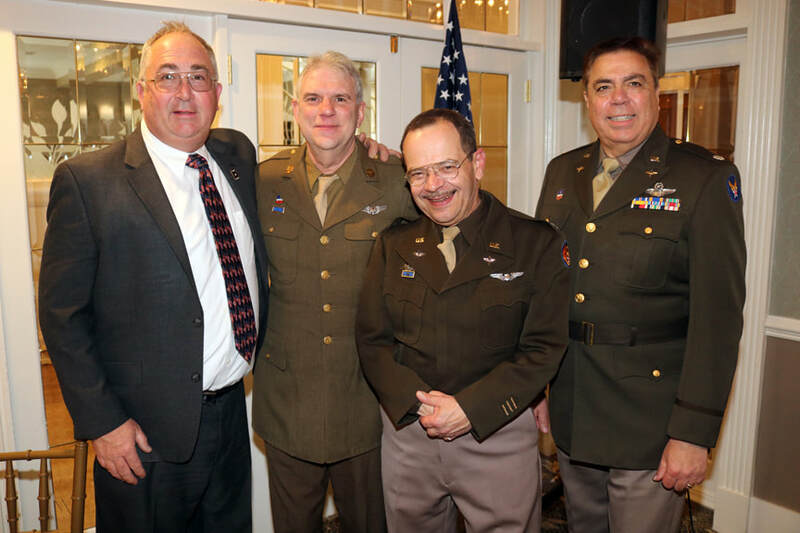 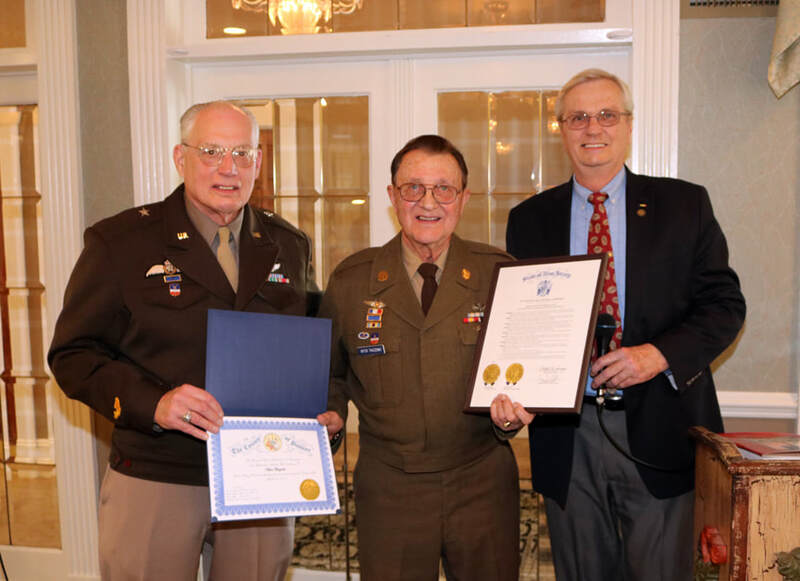 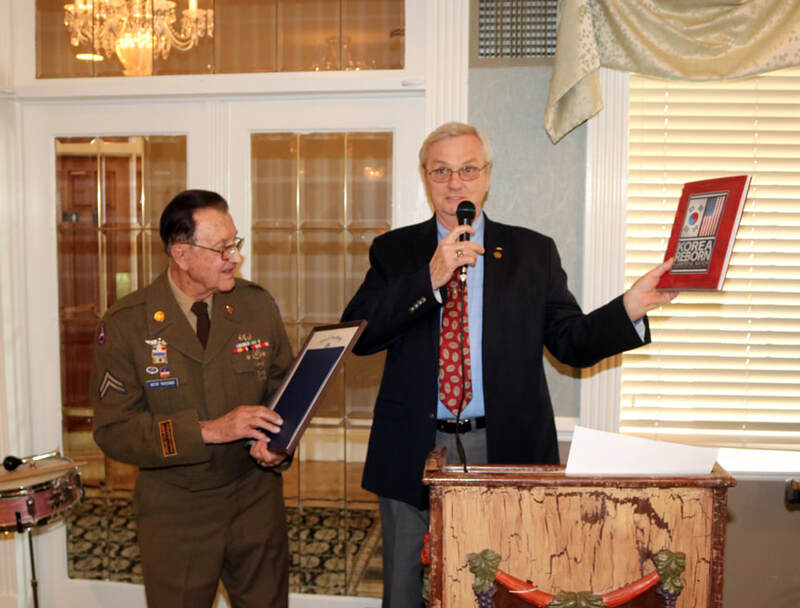 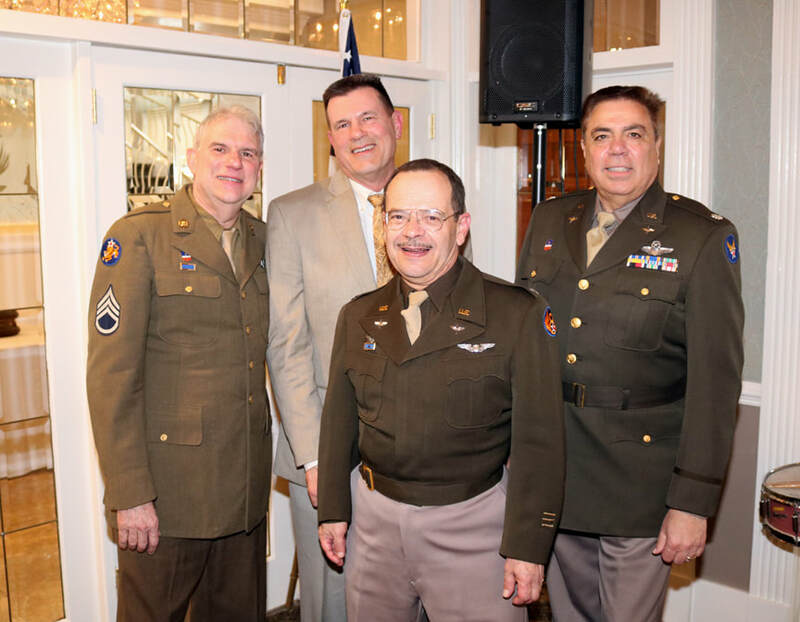 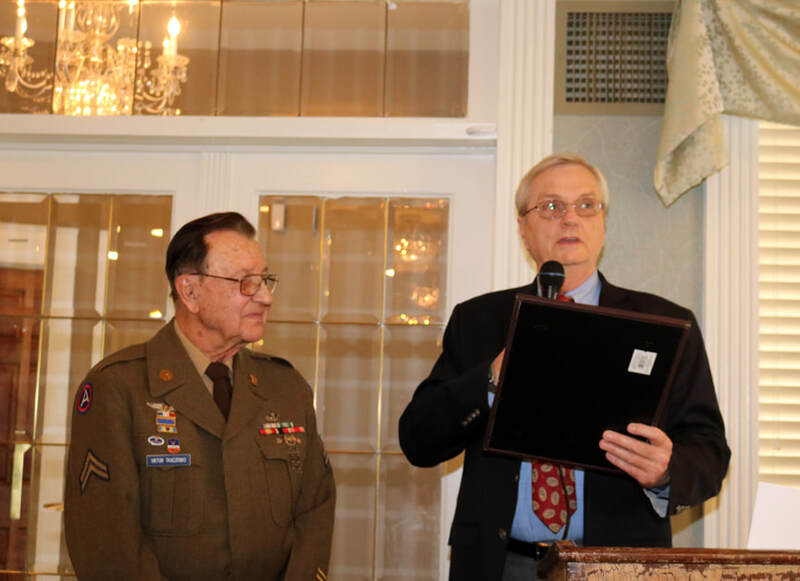 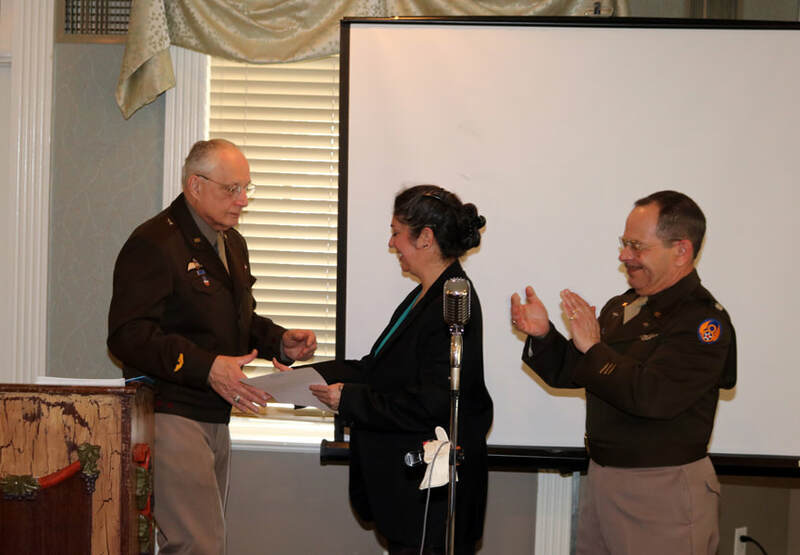 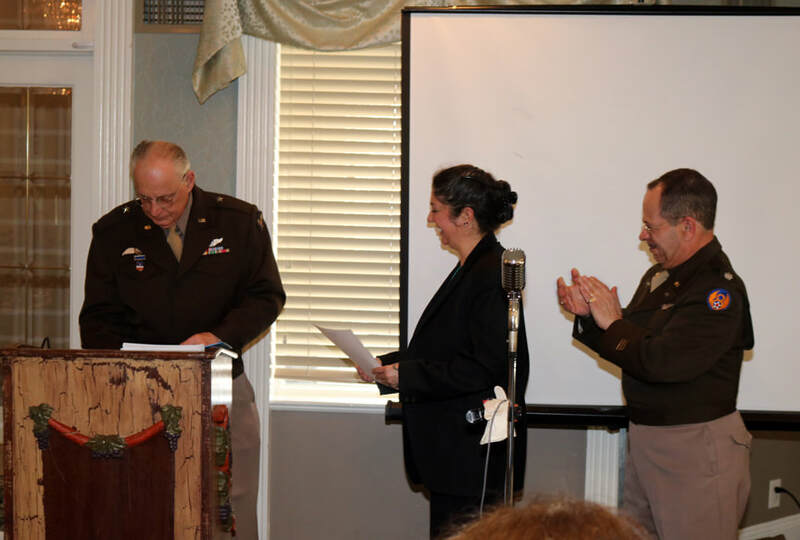 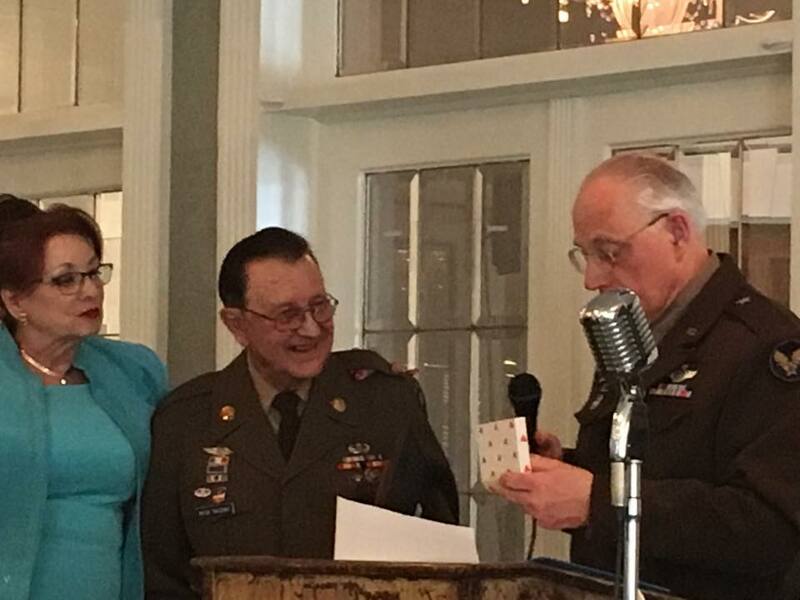 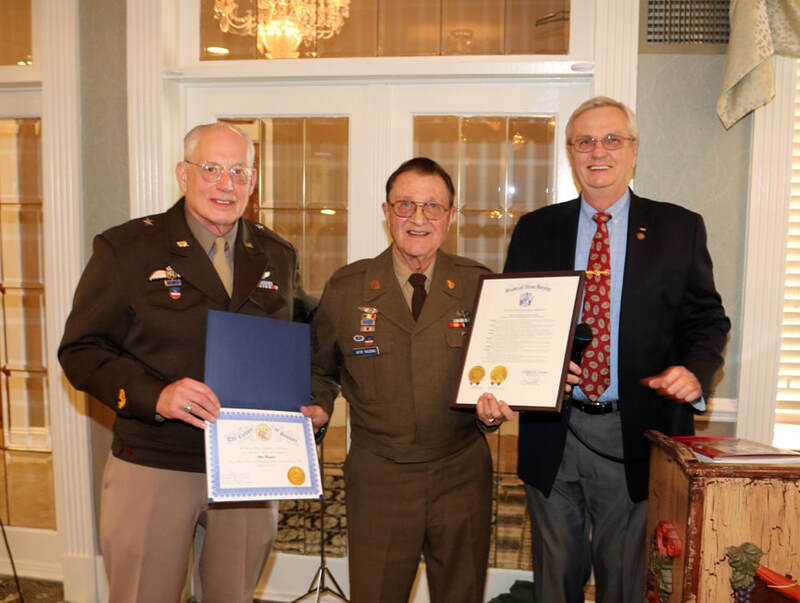 A Special Veterans Commendation was presented to AAFHA's Viktor Tkaczenko by Passaic County Veterans Service liaison, John Harriss, and AAFHA's Taryn Seminara was promoted to Major for outstanding achievement and extraordinary service to AAFHA by Gen. Wayne Placek and Col. Albert Parisi in ceremonies held during the dinner. 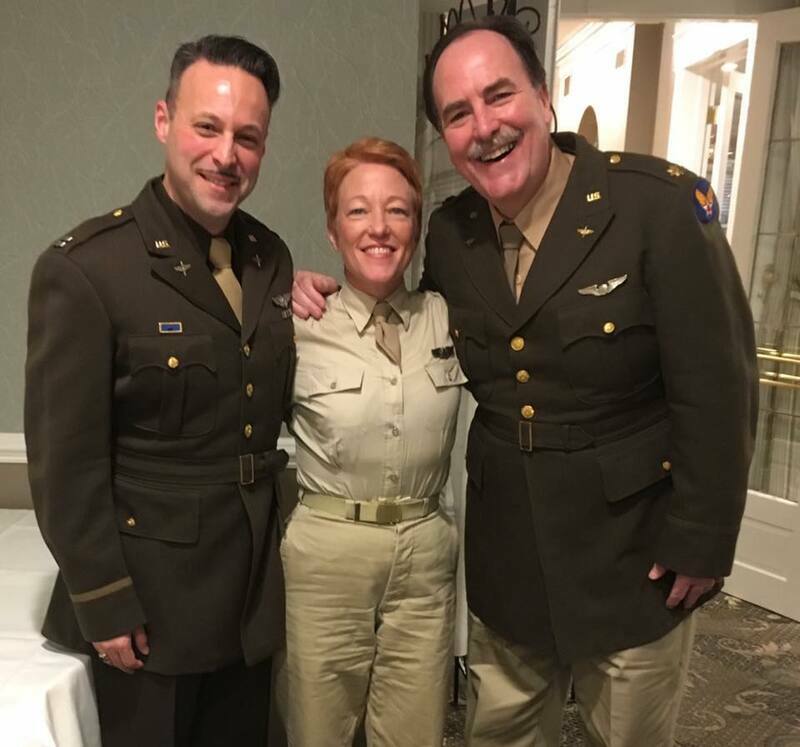 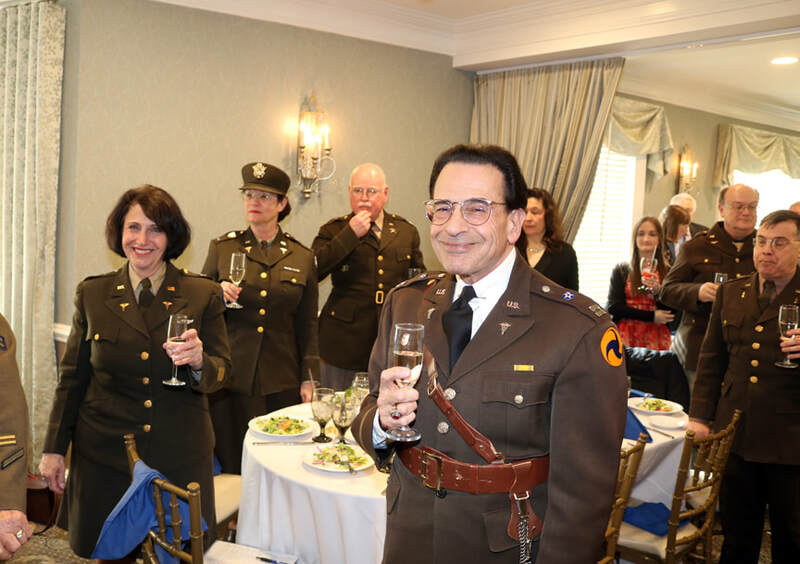 Following dinner a short variety show was presented by the AAFHA Squadronaires, starring Alyssa Martin as Dawn O'Day, Paul Martin as Bob Hope and Al Parisi as Col. Albert Parisi. 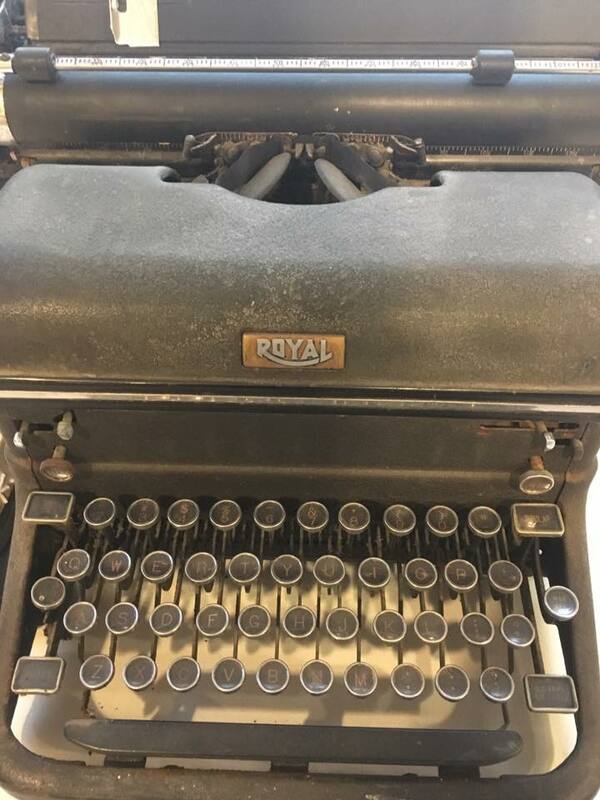 ​Click on lower right hand corner to enlarge. 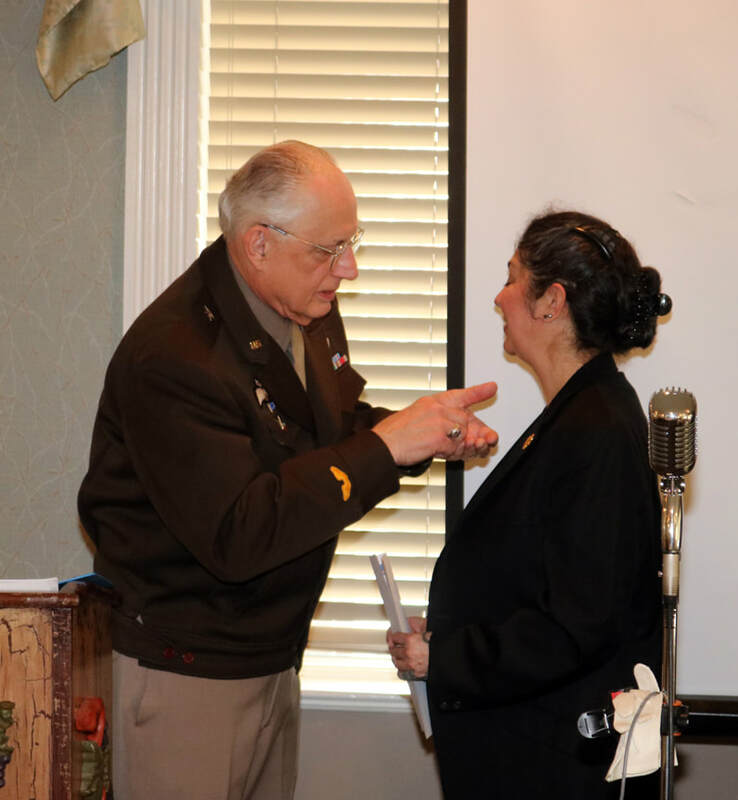 Video below: Taryn Seminara's Promotion to Major! 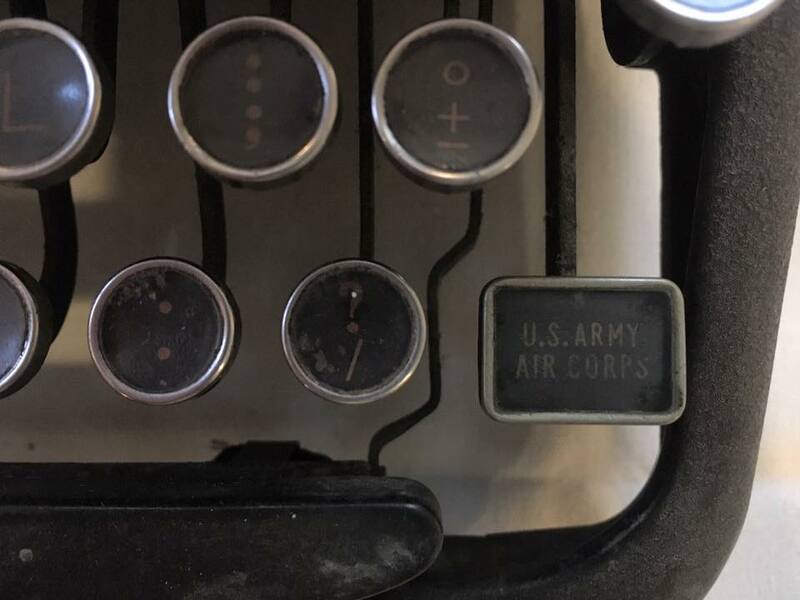 Click on lower right hand corner to enlarge. 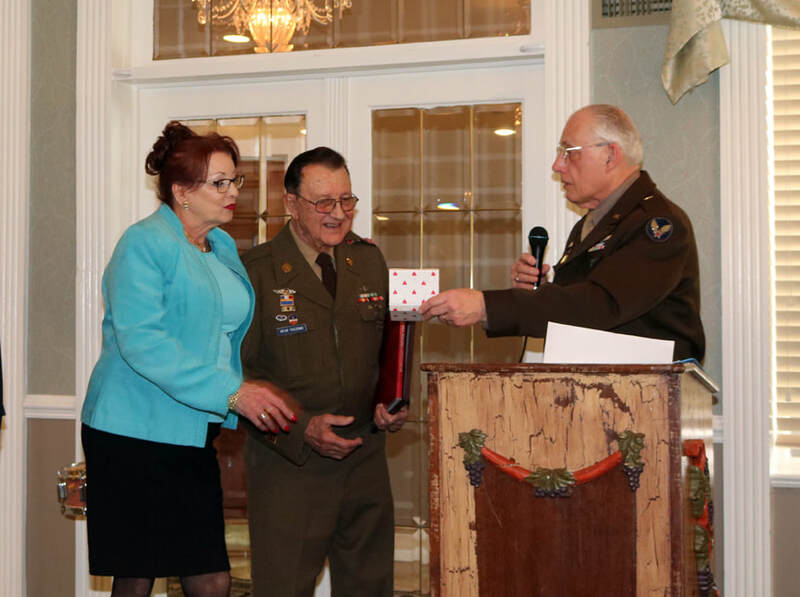 Video below: Special Veterans Commendation for Viktor Tkaczenko! 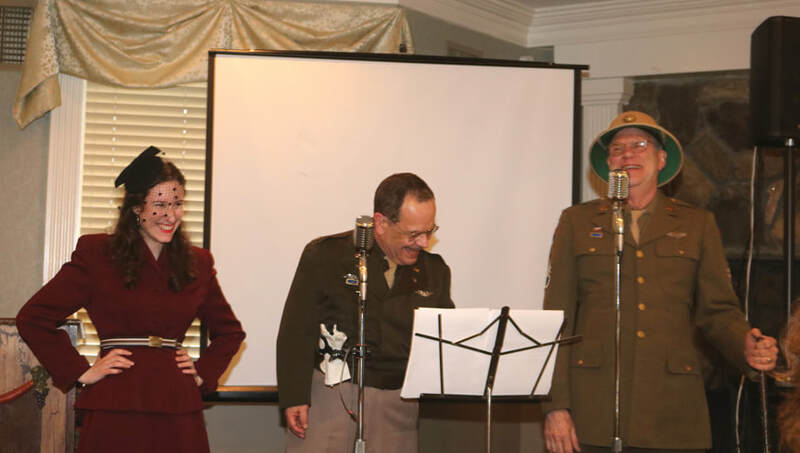 Video below: The AAFHA Squadronaires perform their WWII Musical Revue! 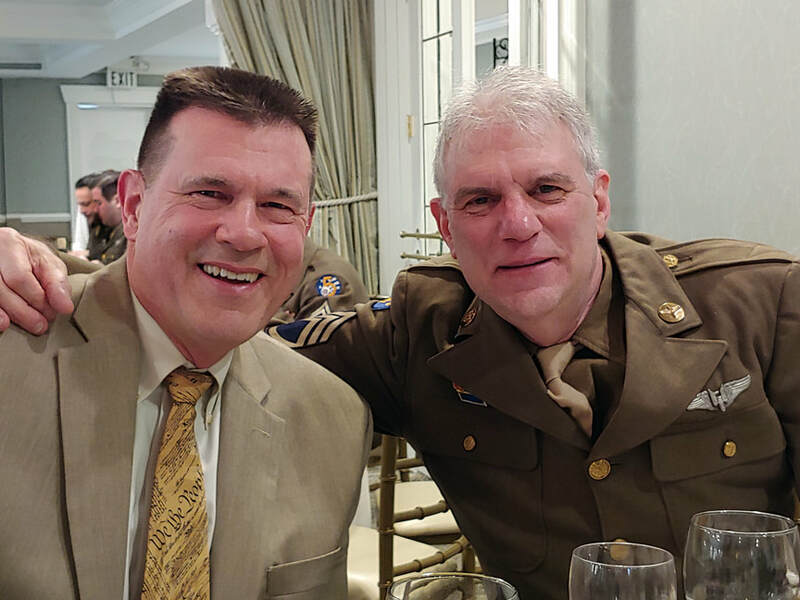 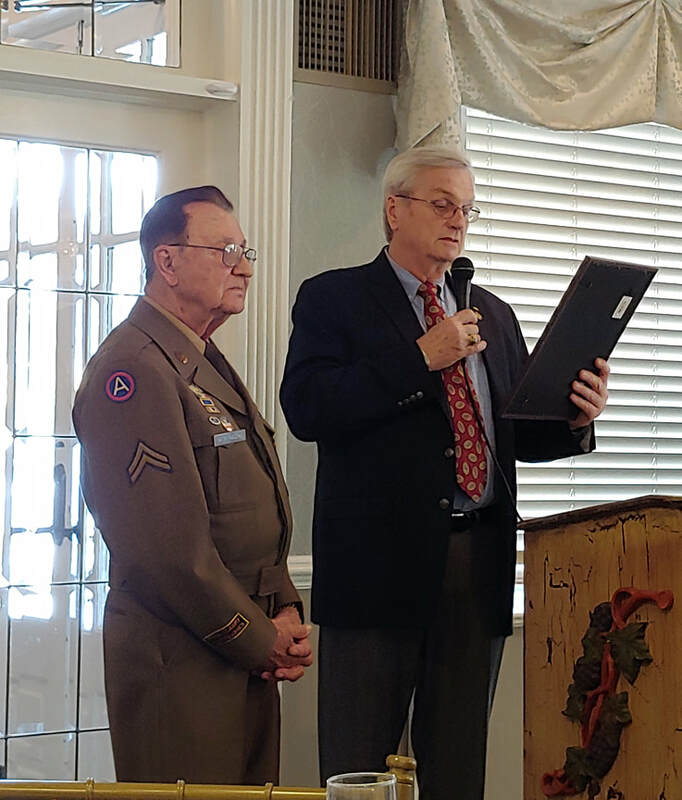 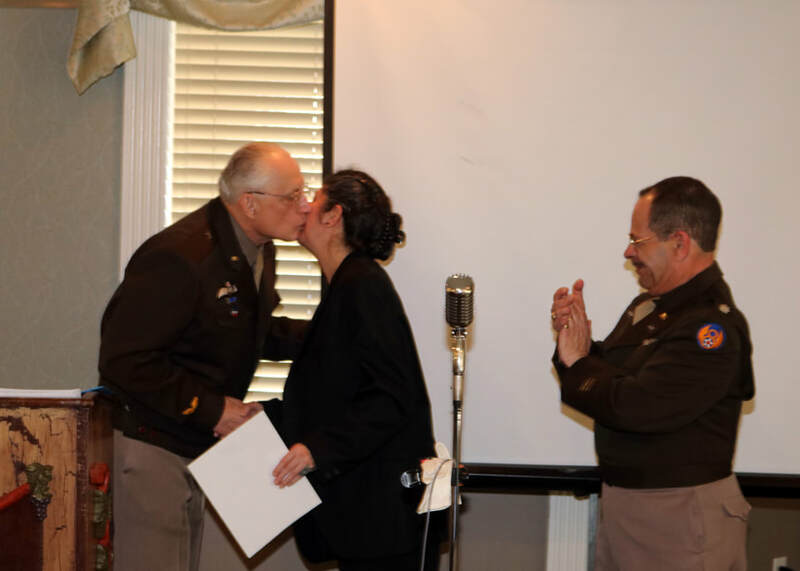 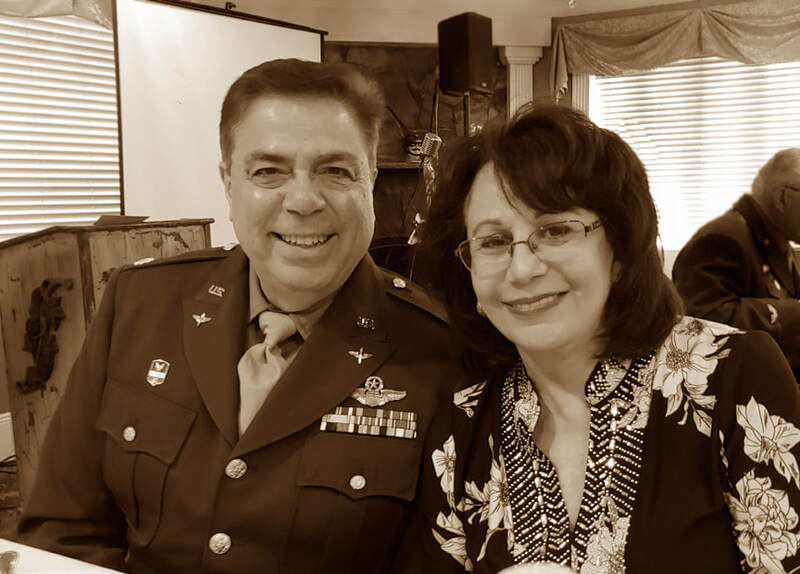 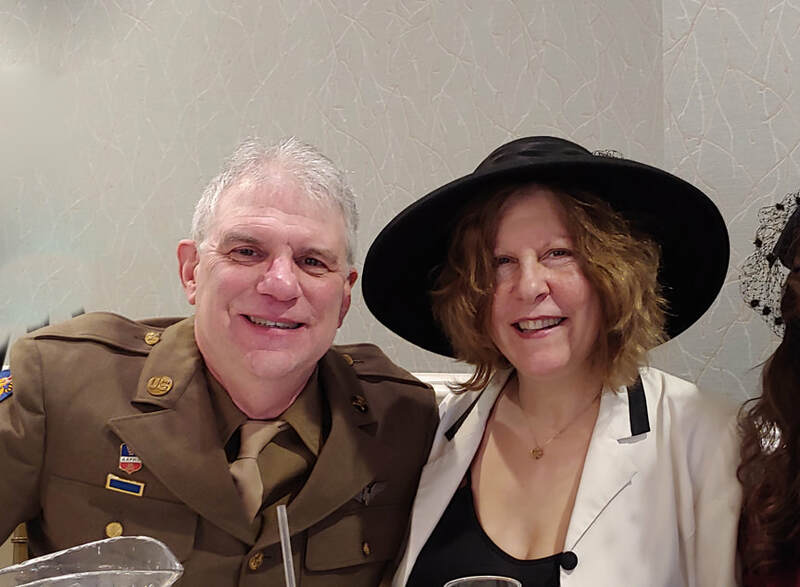 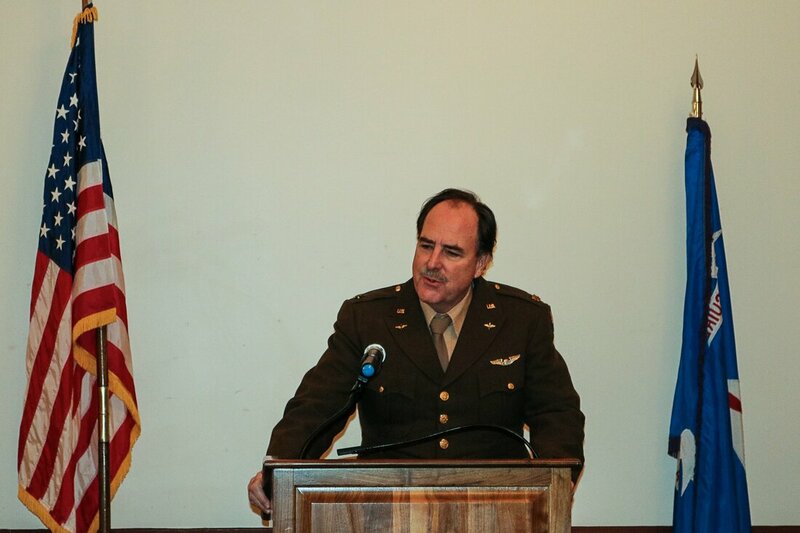 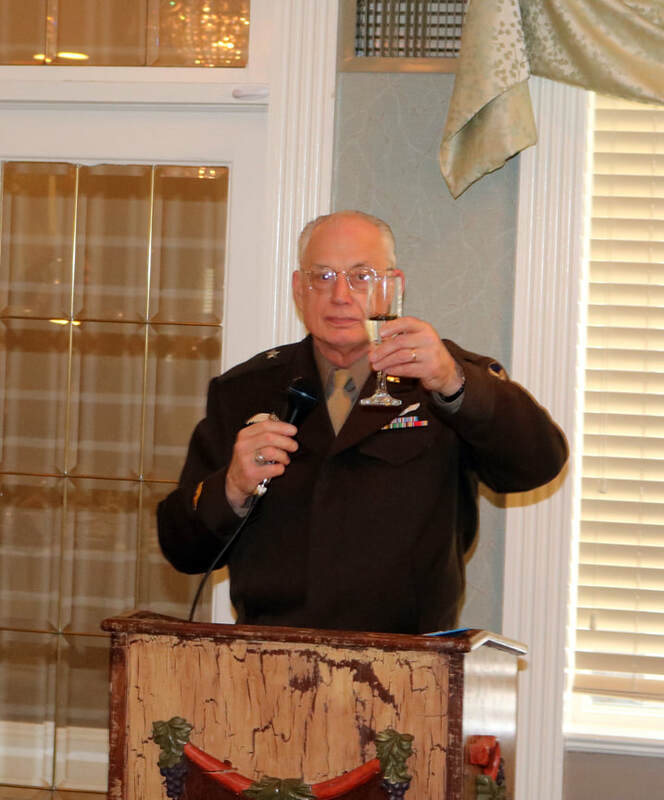 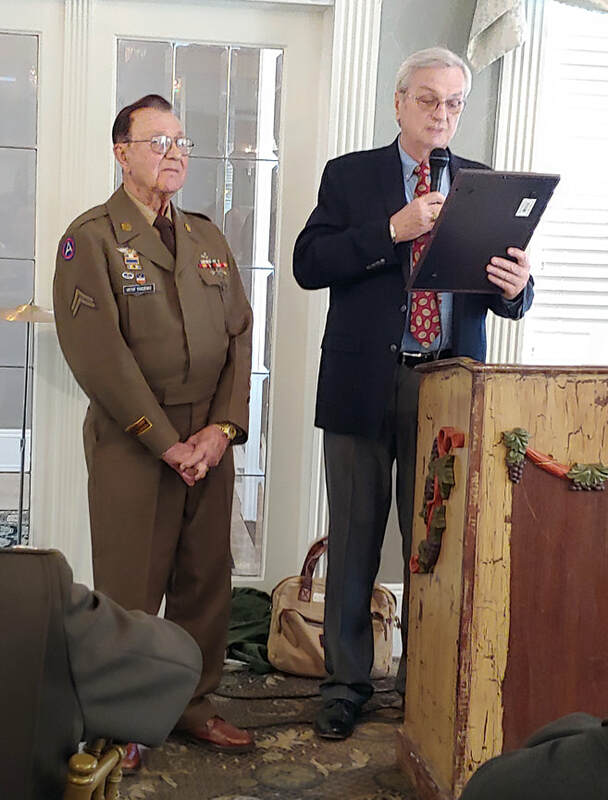 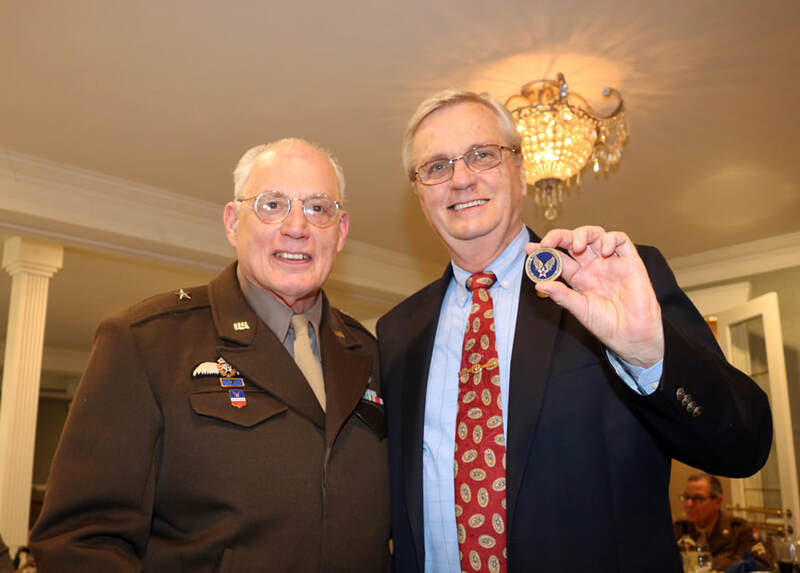 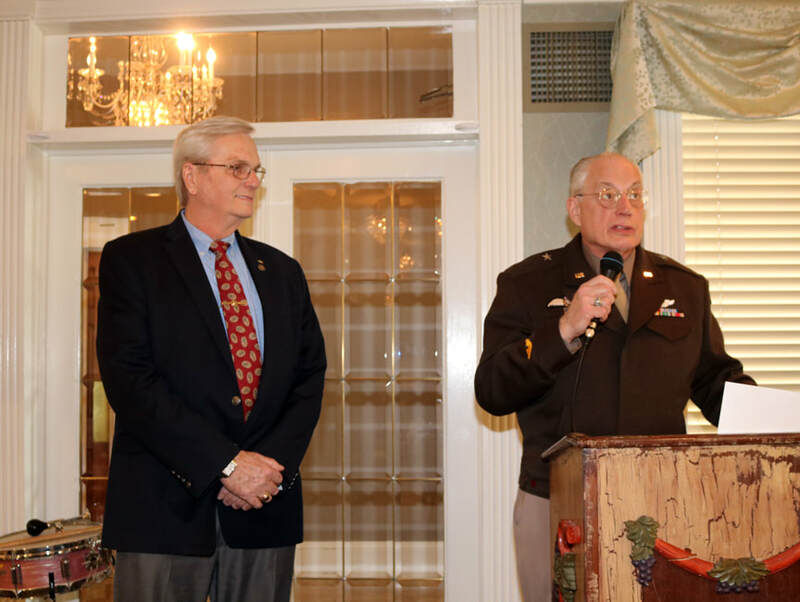 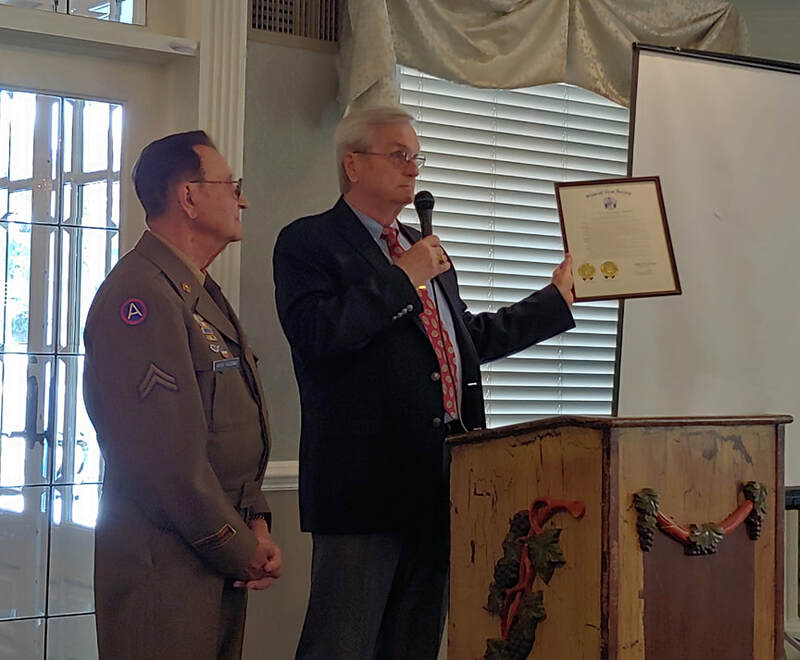 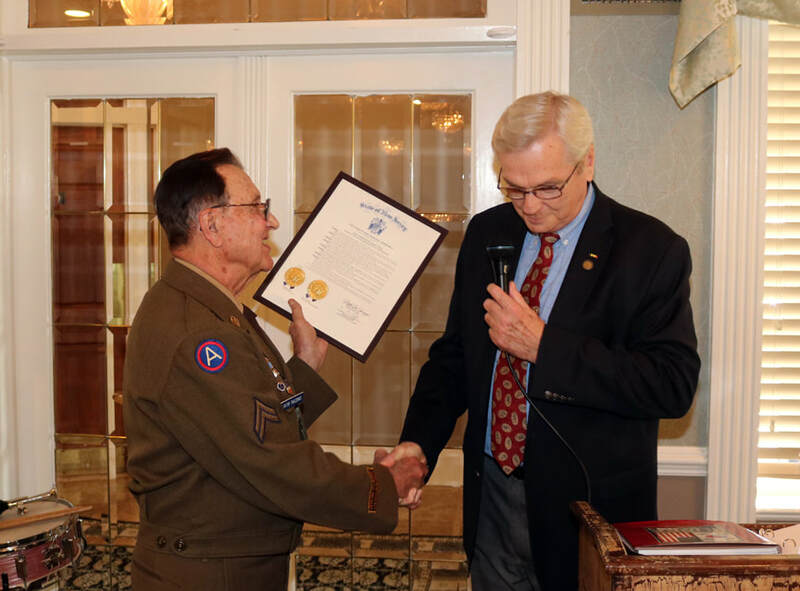 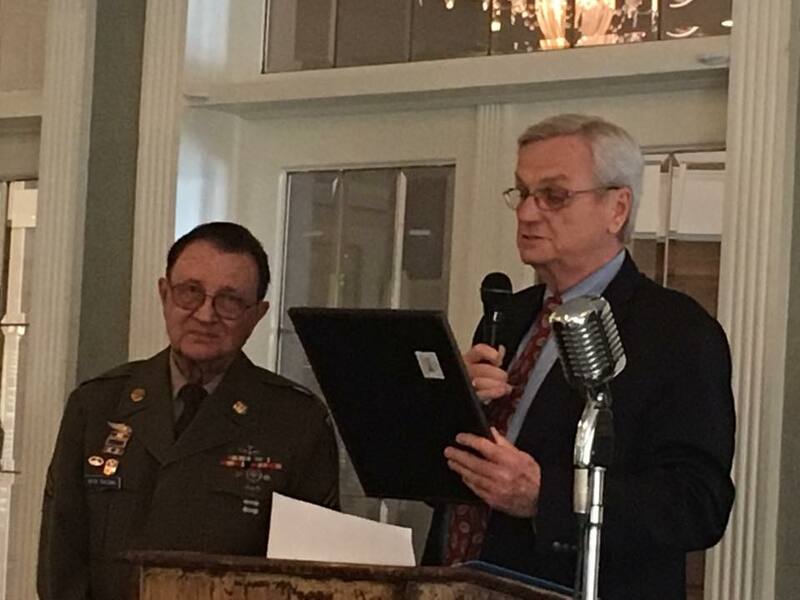 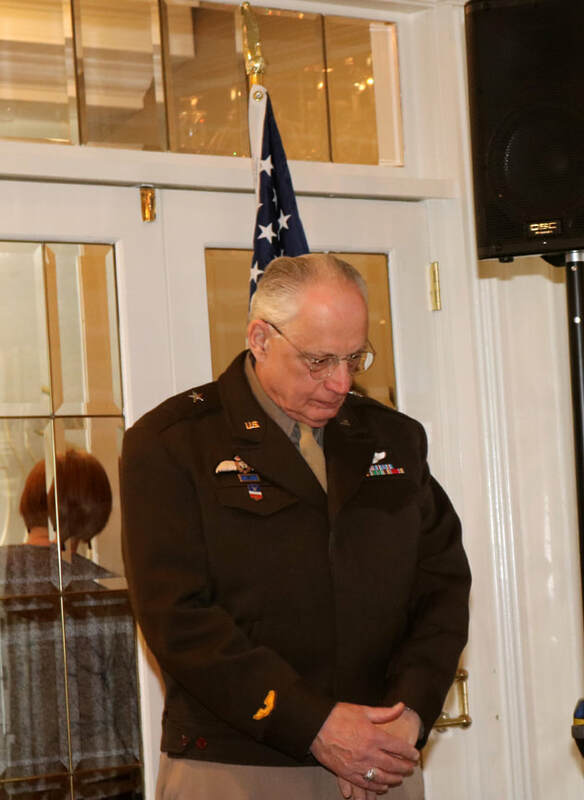 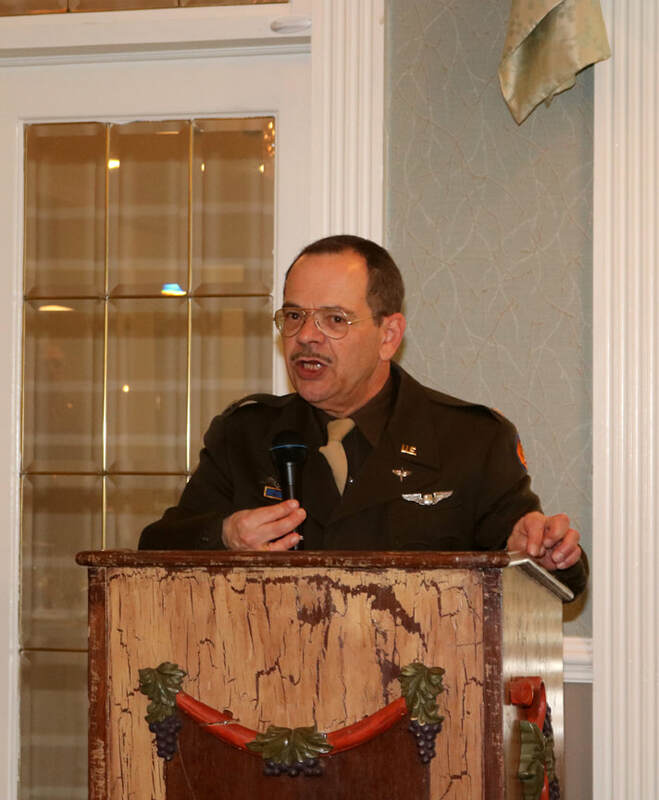 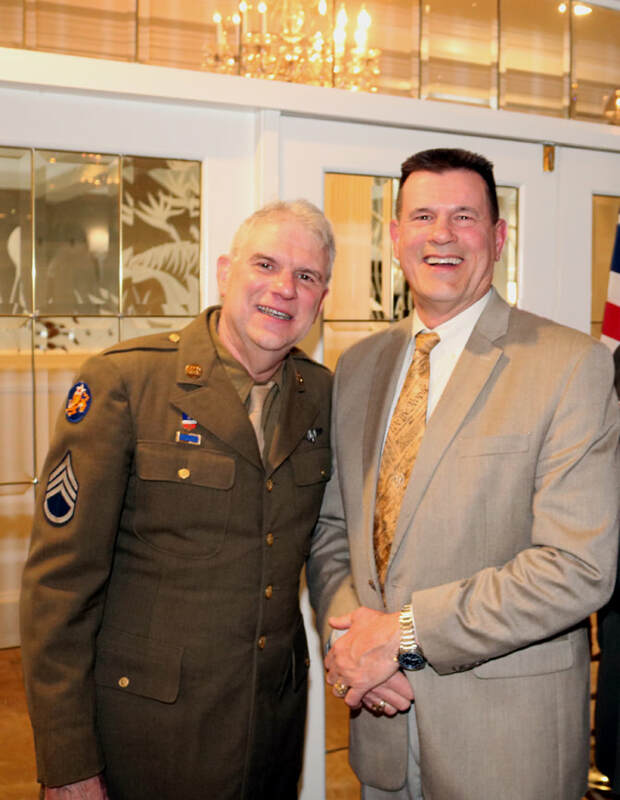 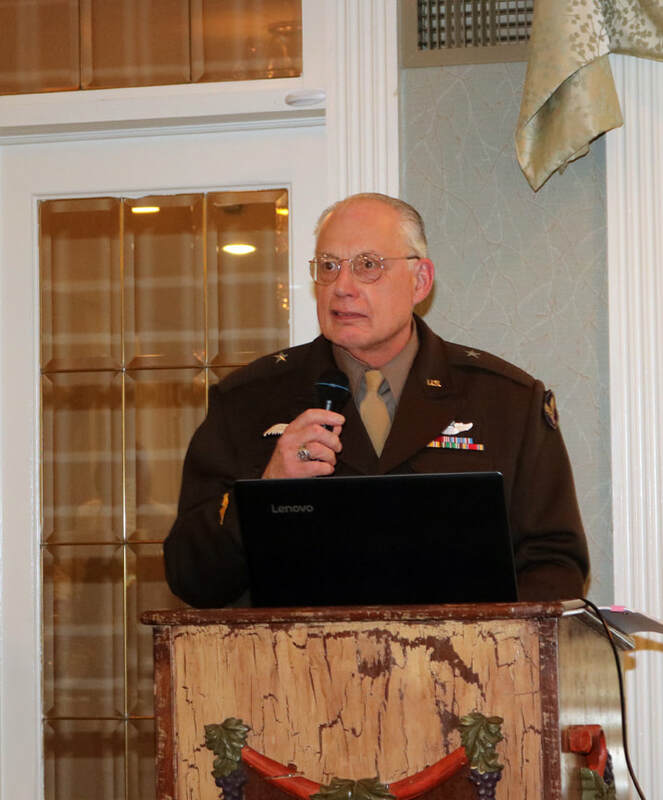 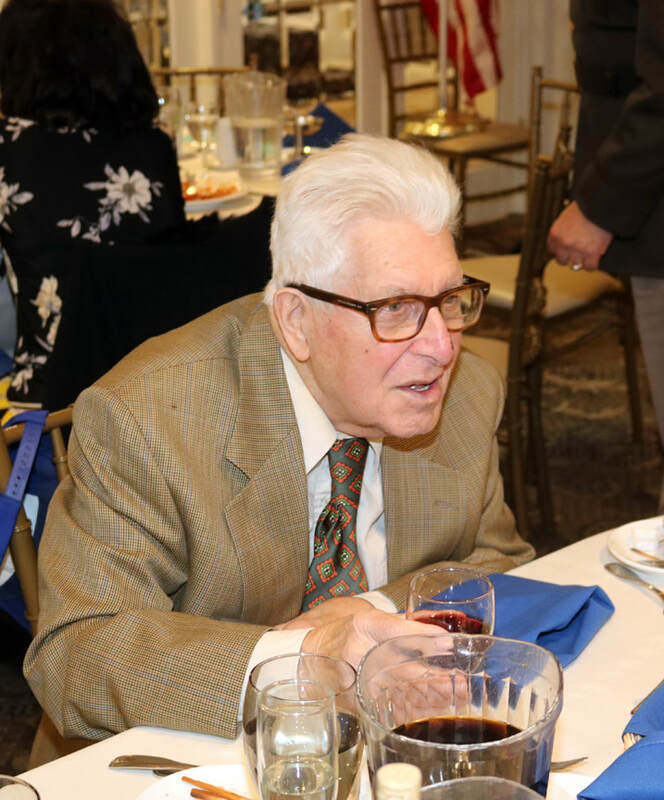 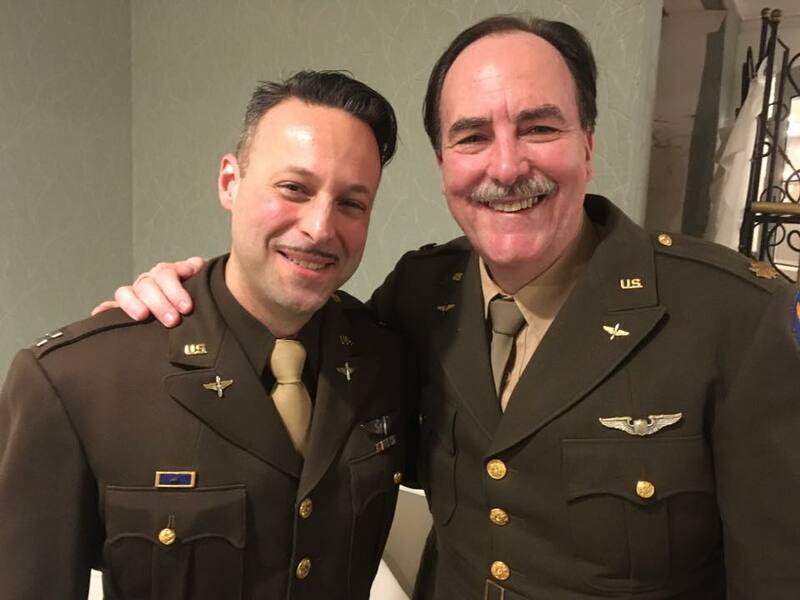 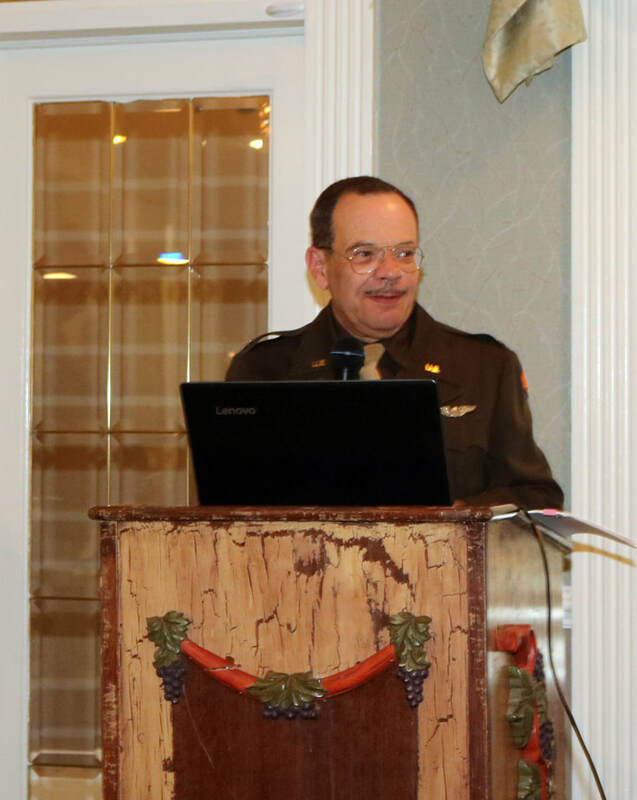 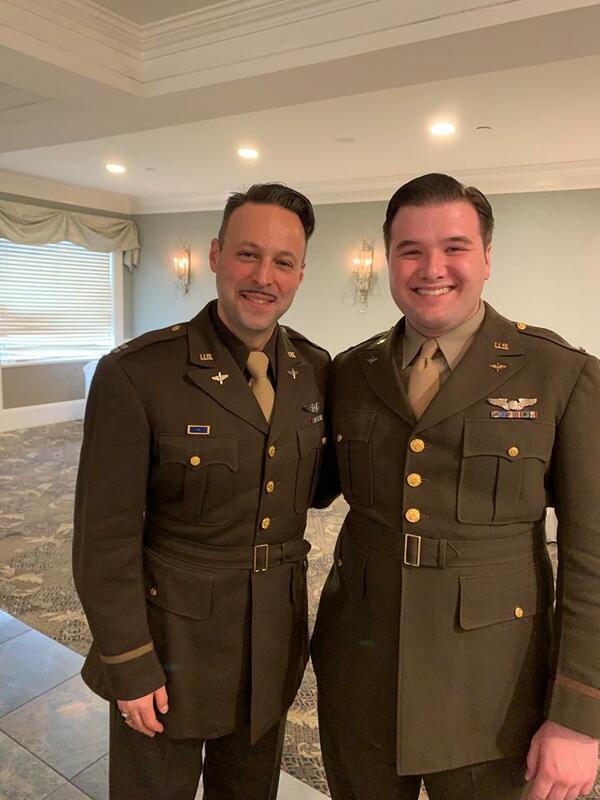 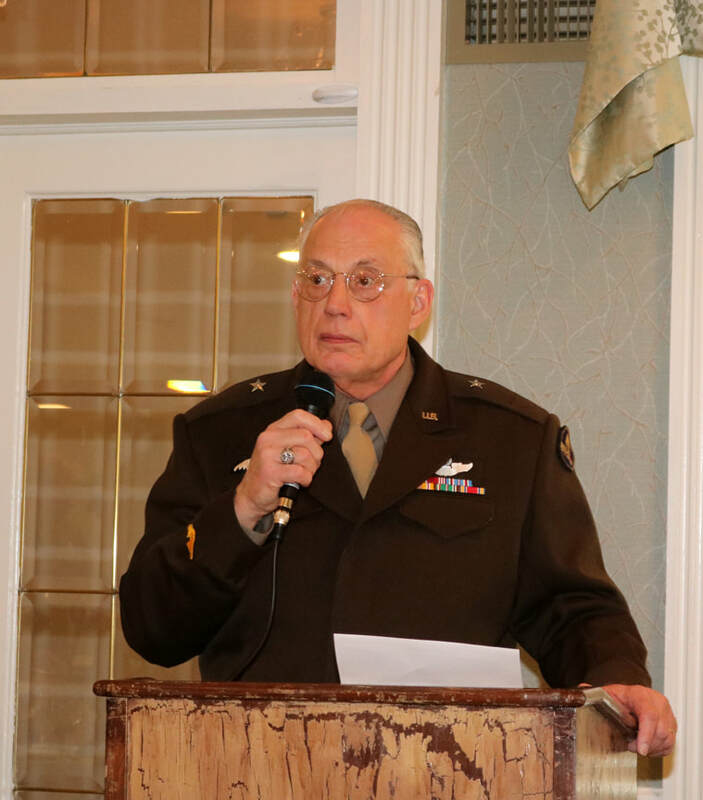 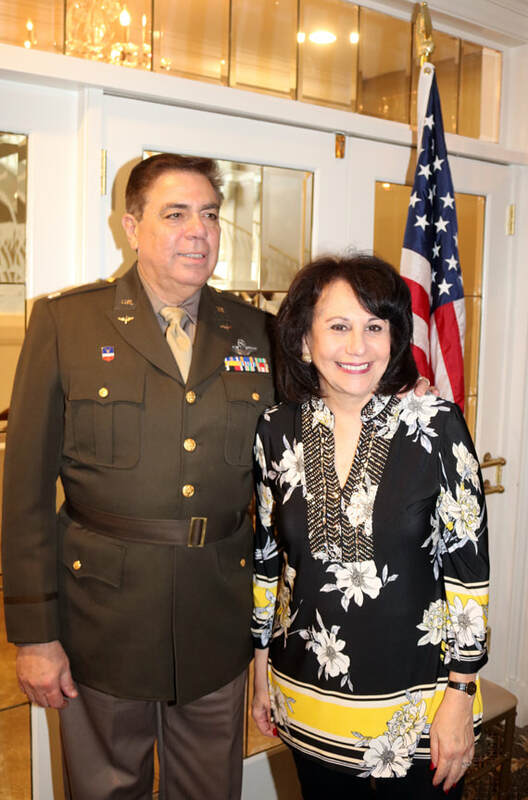 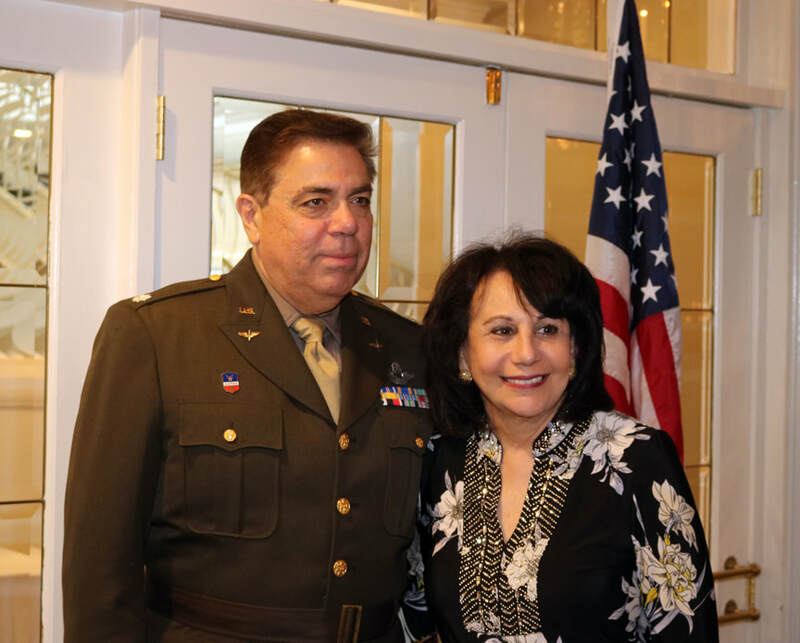 January 12, 2019: AAFHA Honors Maj. Thomas B. McGuire. 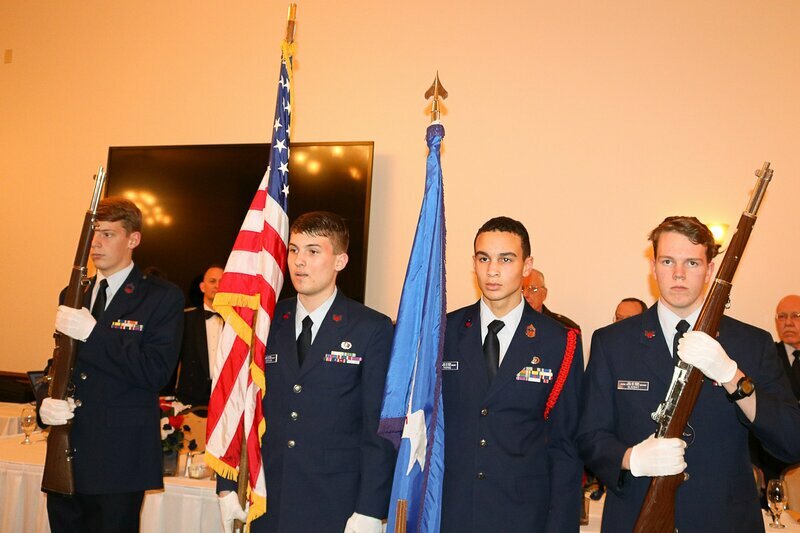 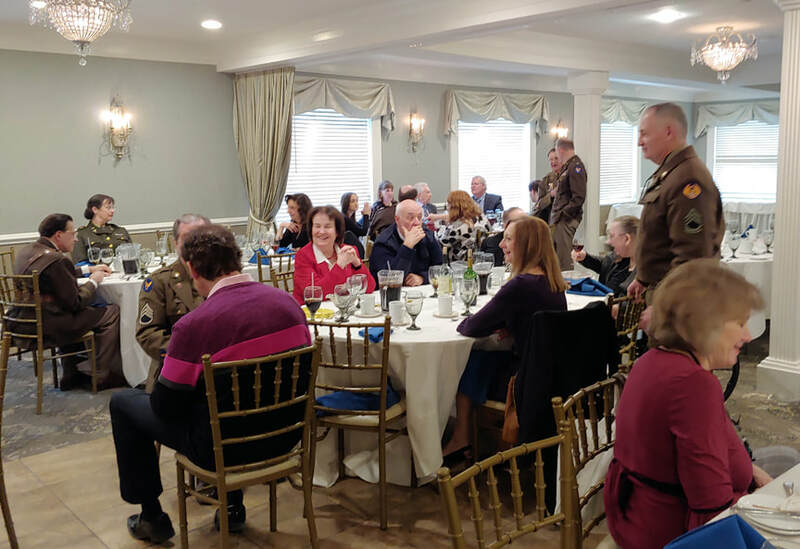 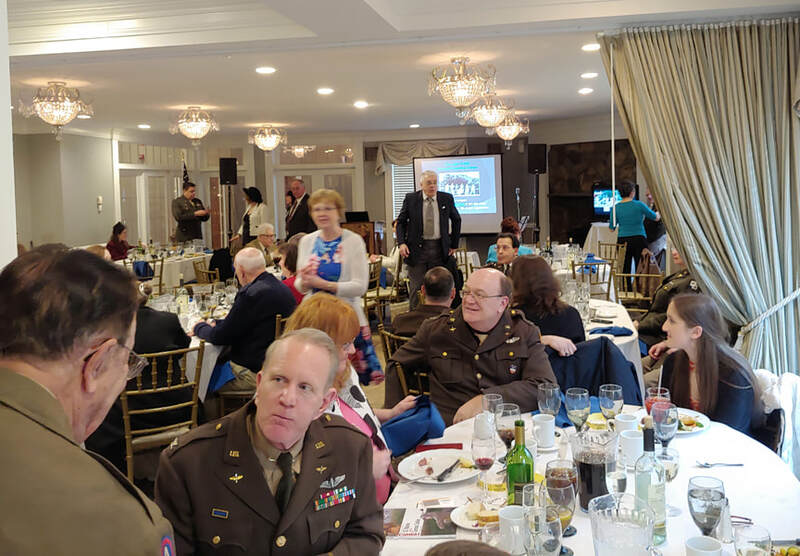 ​On Saturday, 1-12-19, AAFHA was honored to participate at the Annual Civil Air Patrol McGuire Composite Squadron Dinner. 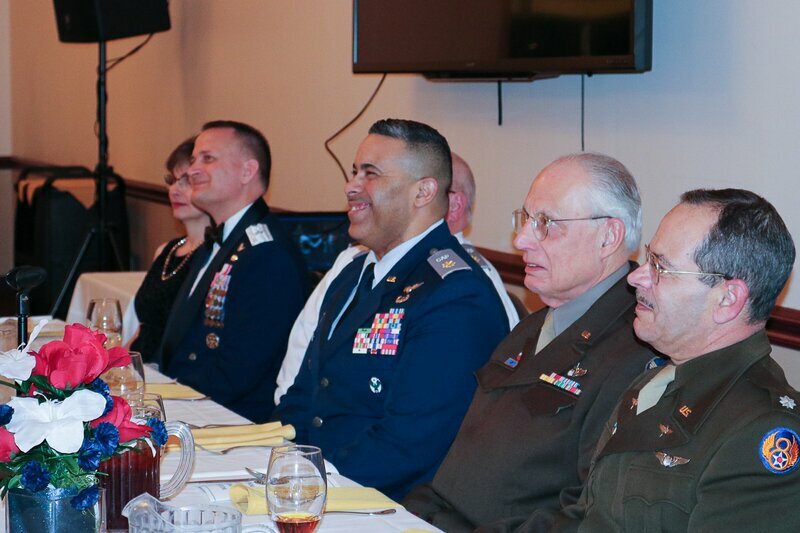 The event was held at Joint Base McGuire-Dix-Lakehurst in Tommy B’s Community Activities Center; Starlifter Room. 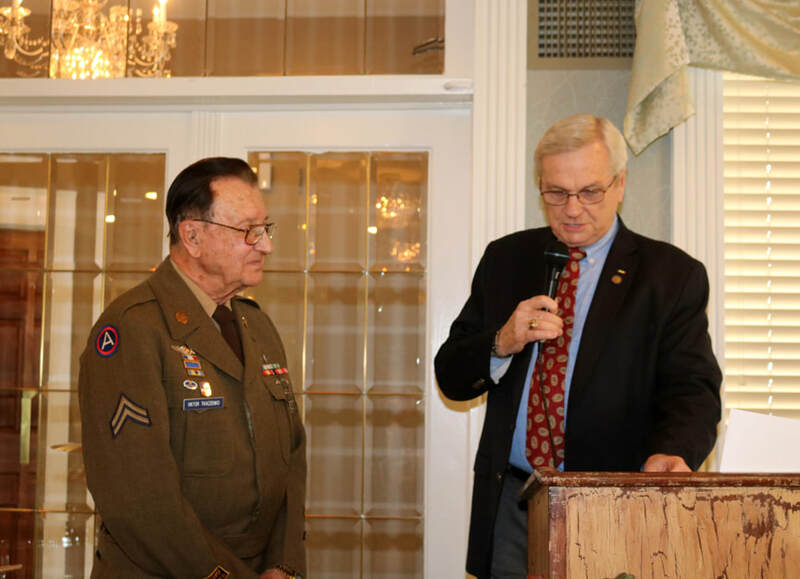 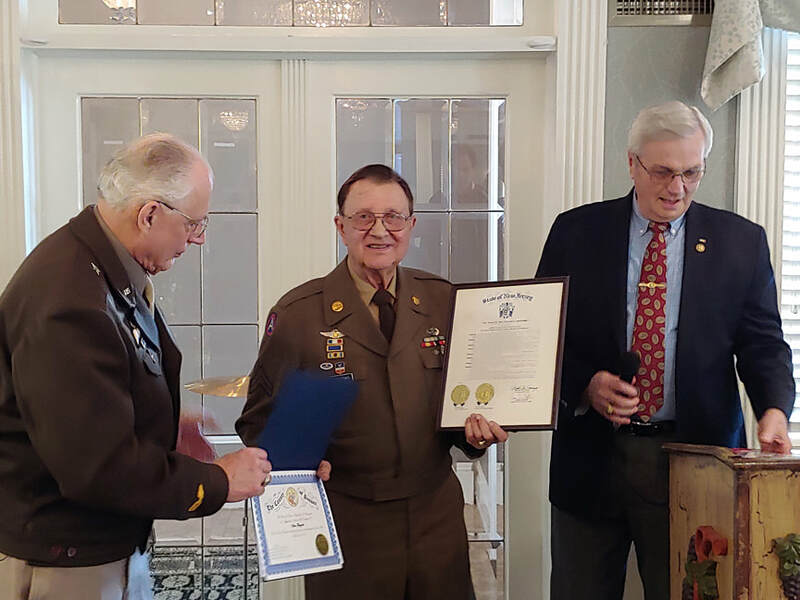 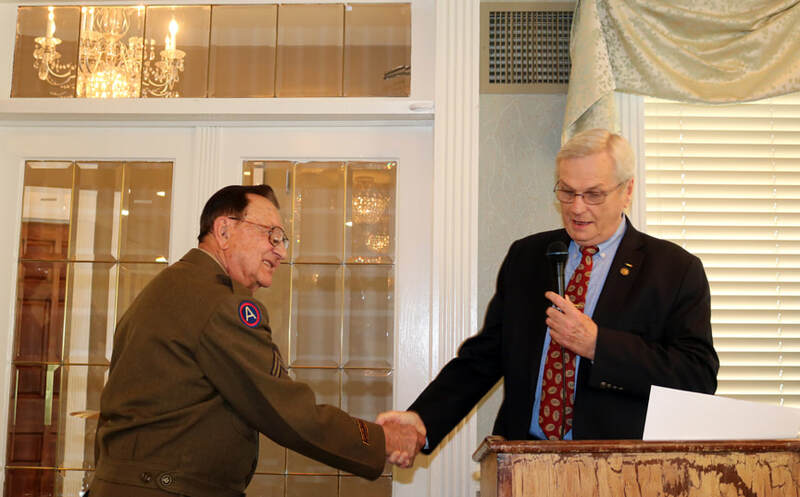 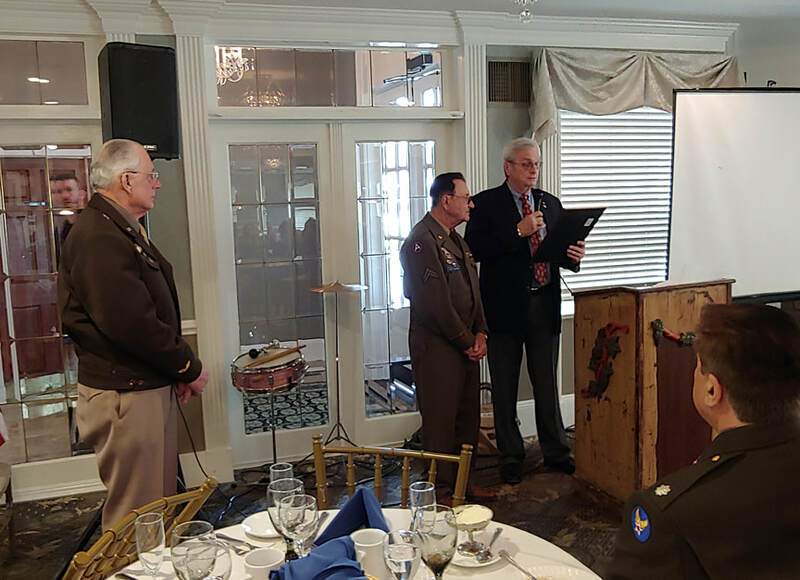 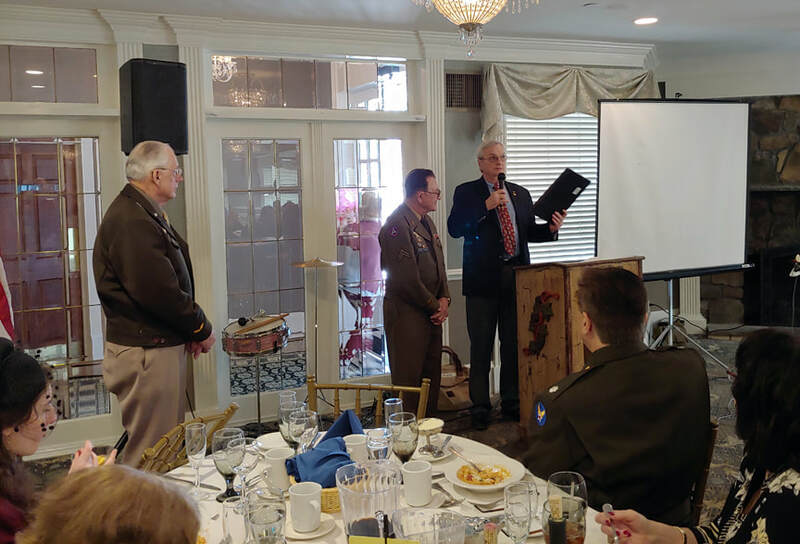 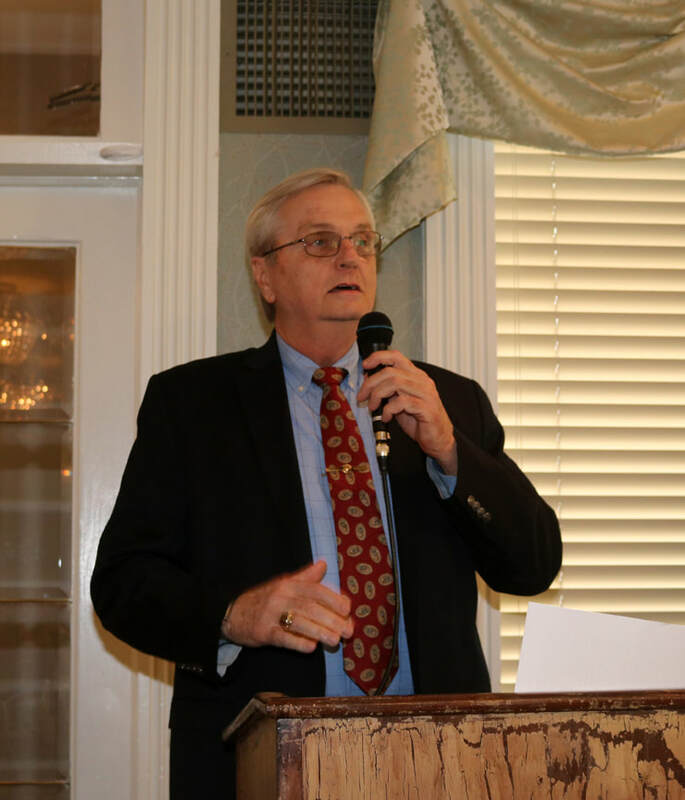 ​Wayne Placek, Albert Parisi, and Christopher Hartney presented a short history of Medal of Honor recipient AAF Major Thomas B. McGuire for whom the base is named. 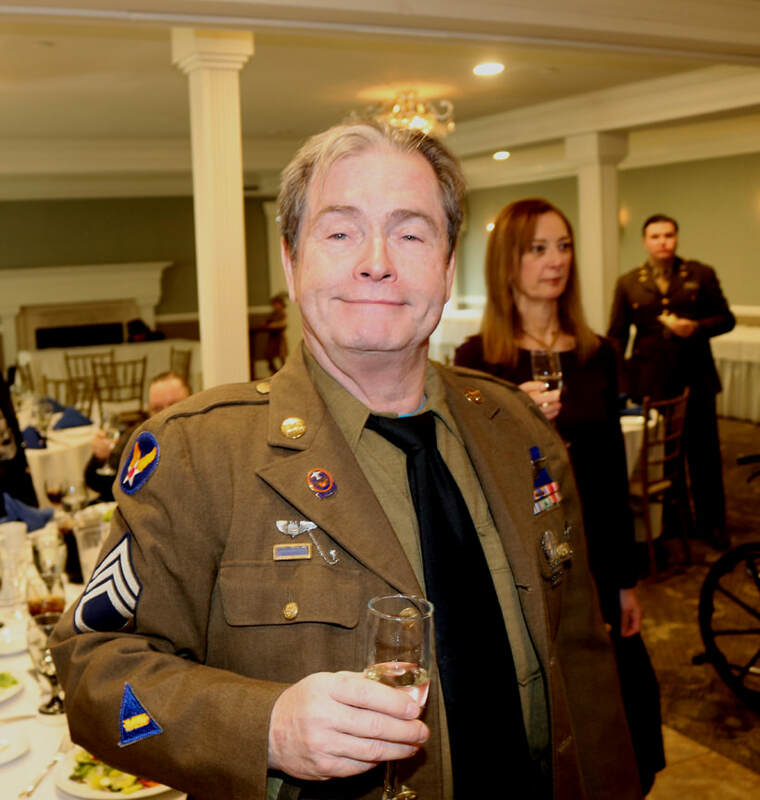 Chris has created a first person impression of Major McGuire. 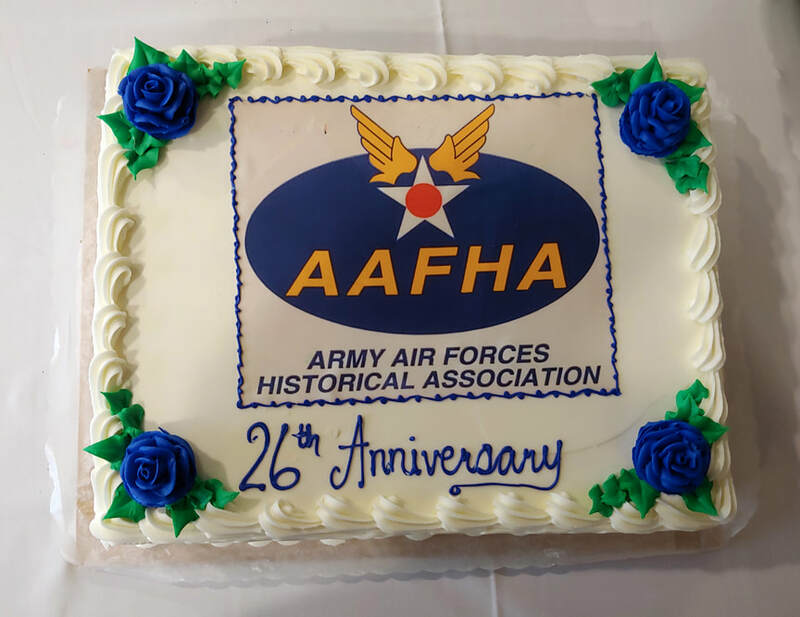 ​During his remarks, AAFHA Commanding Officer Wayne Placek told Cadets how AAFHA made its debut over 25 years ago at an open house event here on base. 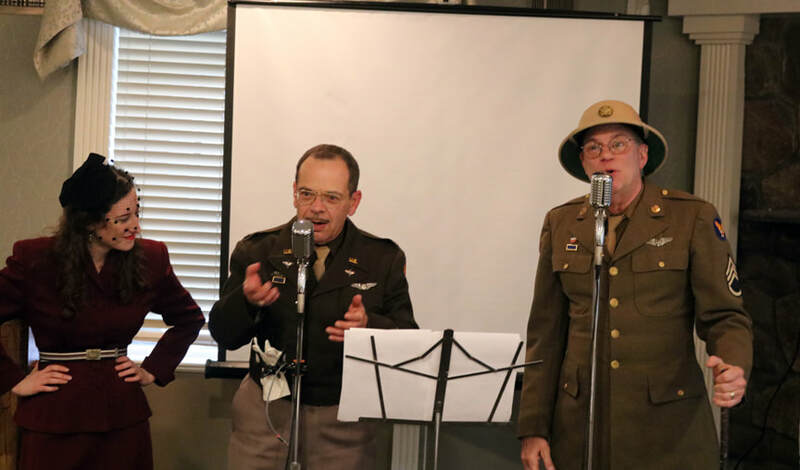 Following the event, the three set off on a "recon mission" to find the original Officers Club once located in this same building. 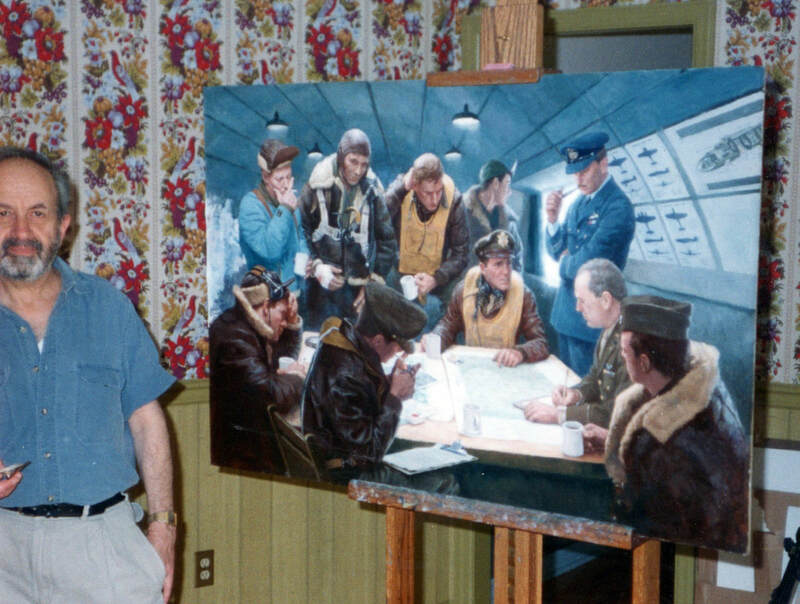 Finding "Tommy B's" closed but "accessible", all were pleasantly surprised to find hanging inside the Club a print of the Gil Cohen artwork " After the Mission". 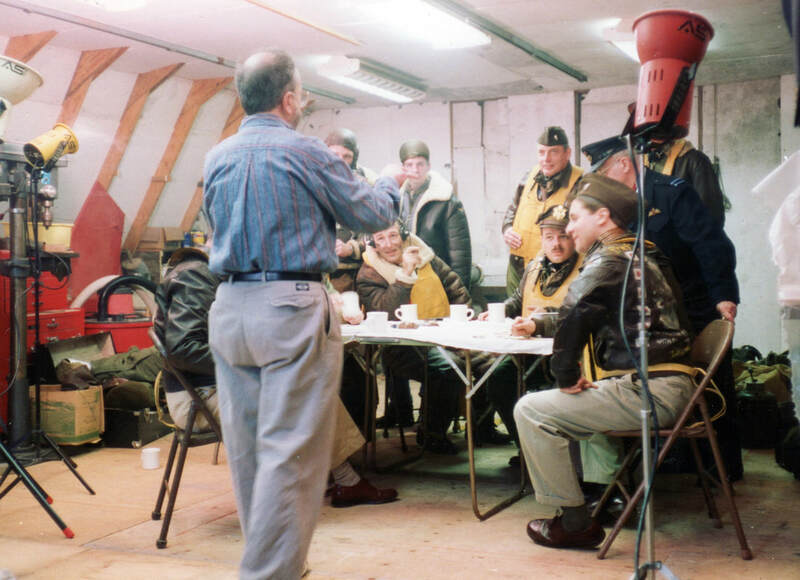 Back in 1992, Gil Cohen asked members of AAFHA to participate in an afternoon photoshoot that would be the basis for this seminal depiction of a debriefing of a WWII Bomber crew.